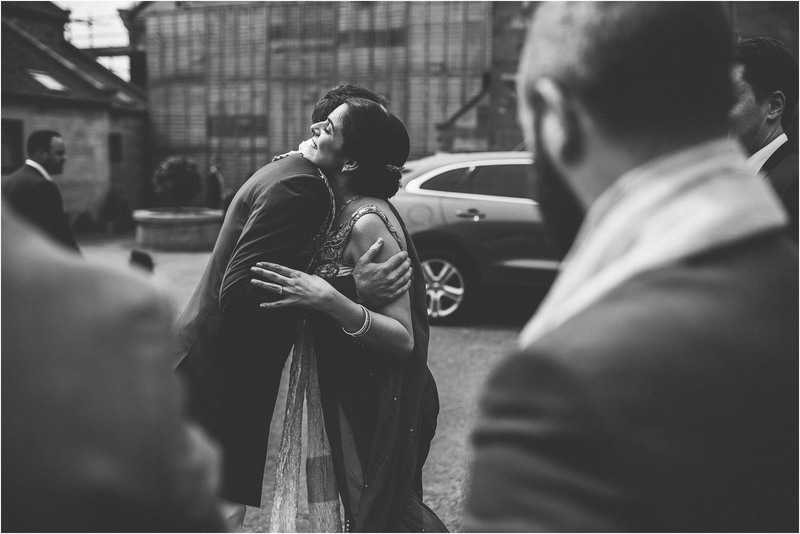 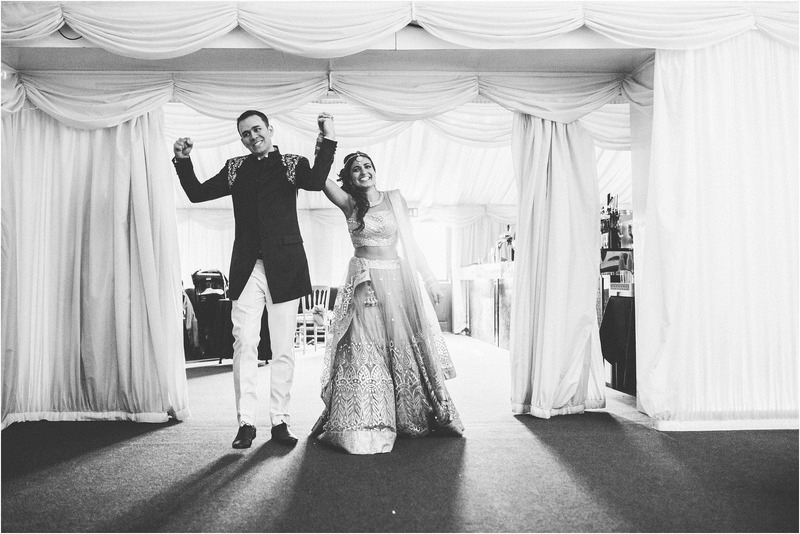 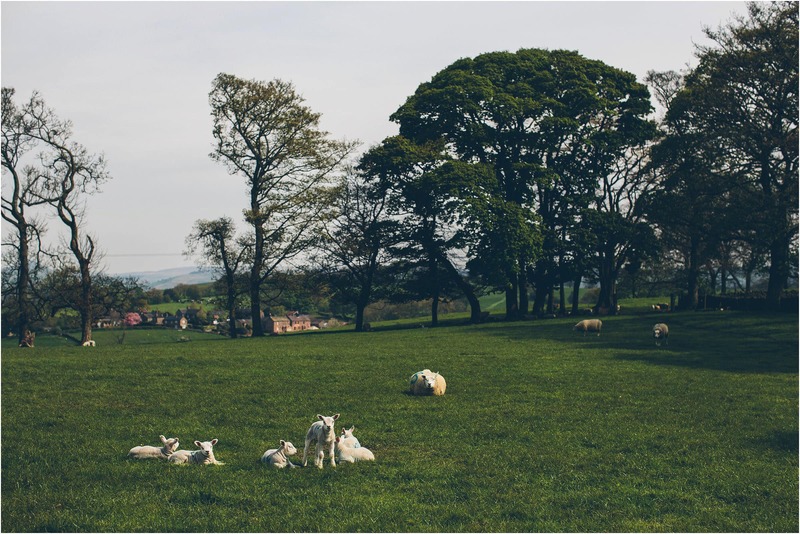 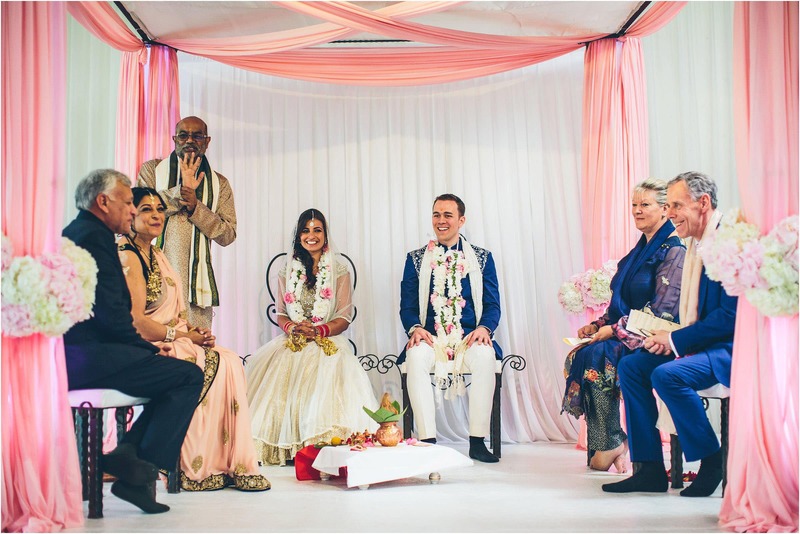 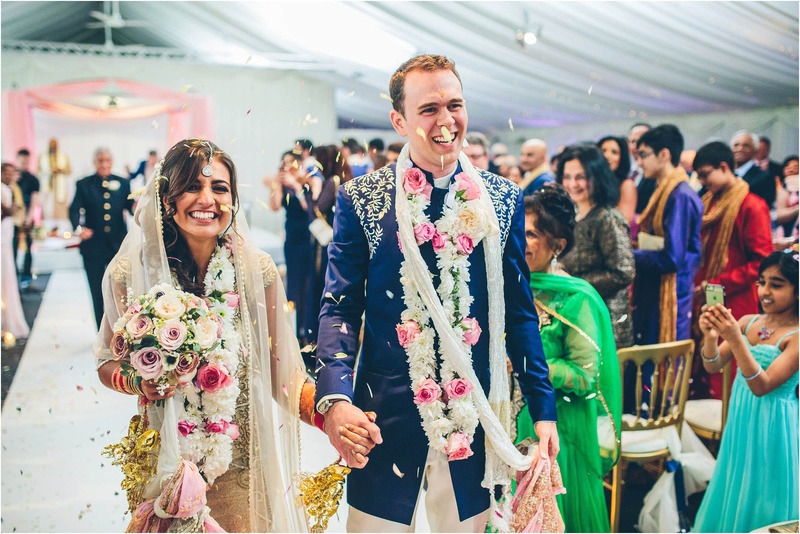 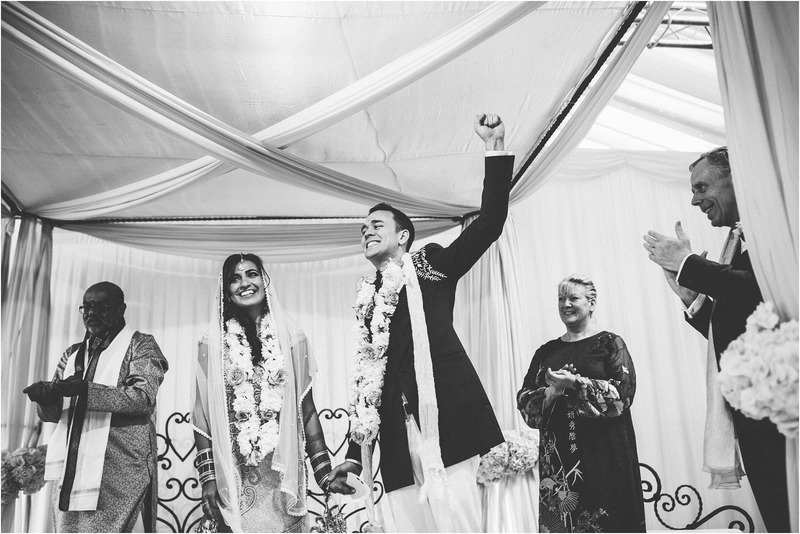 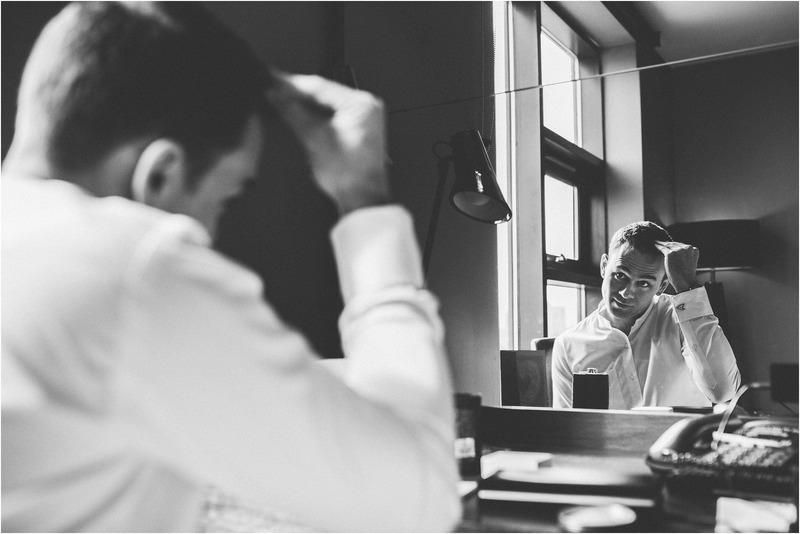 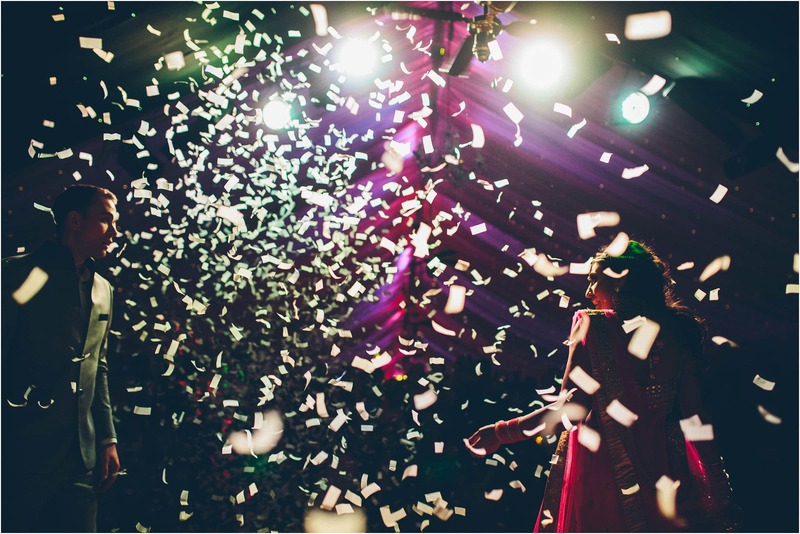 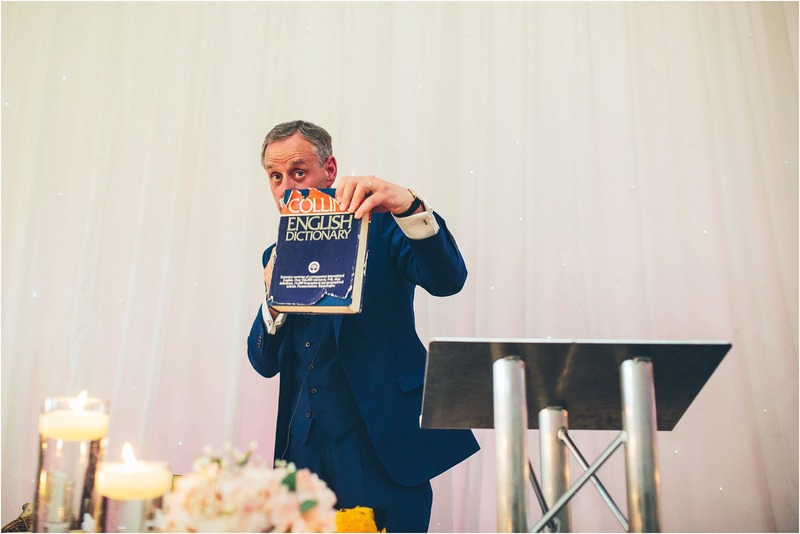 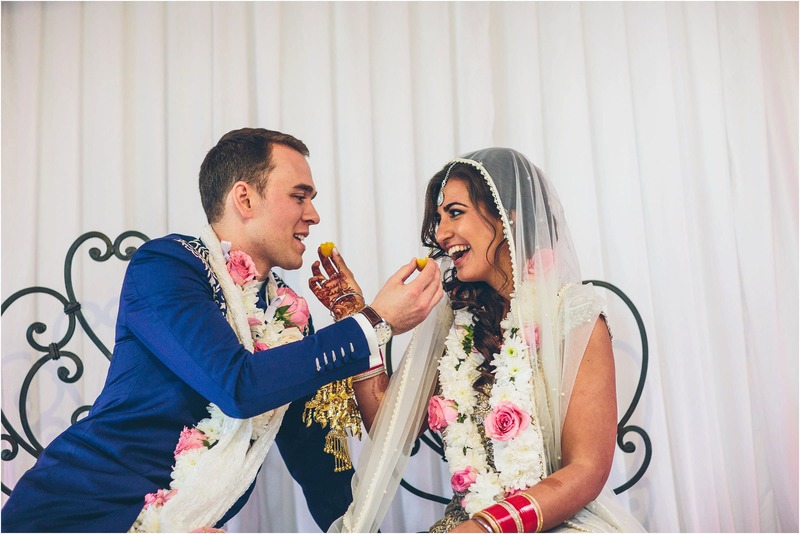 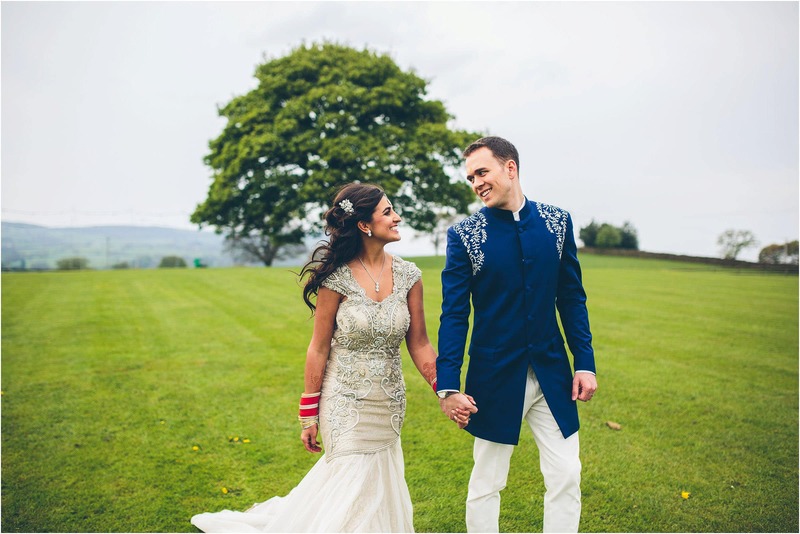 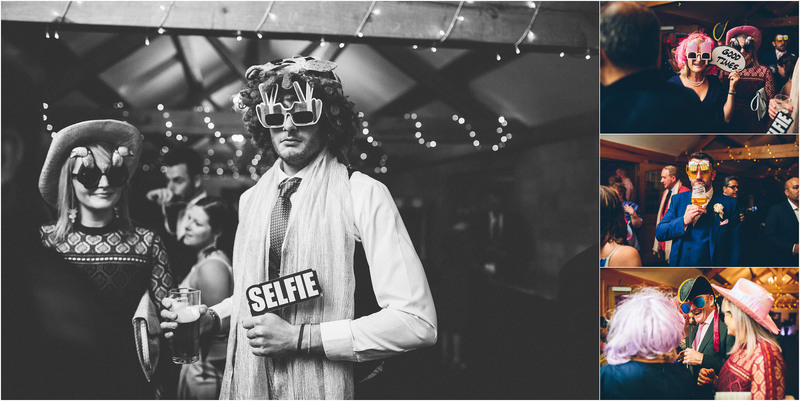 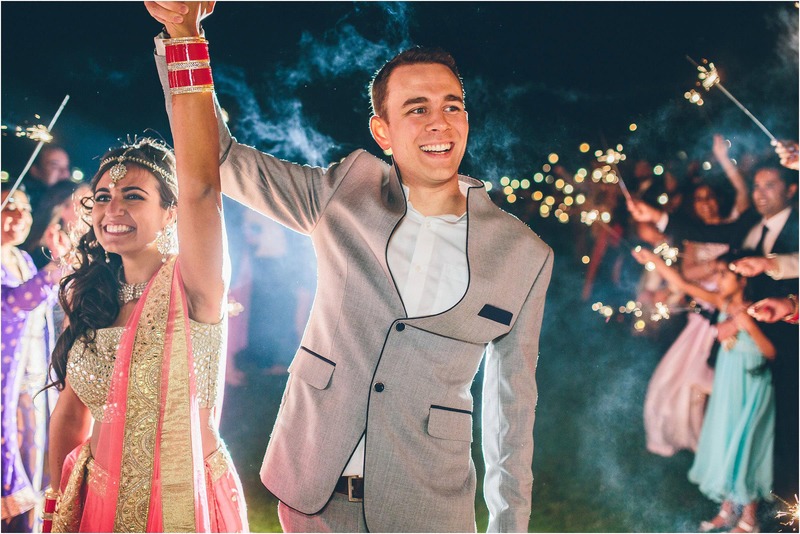 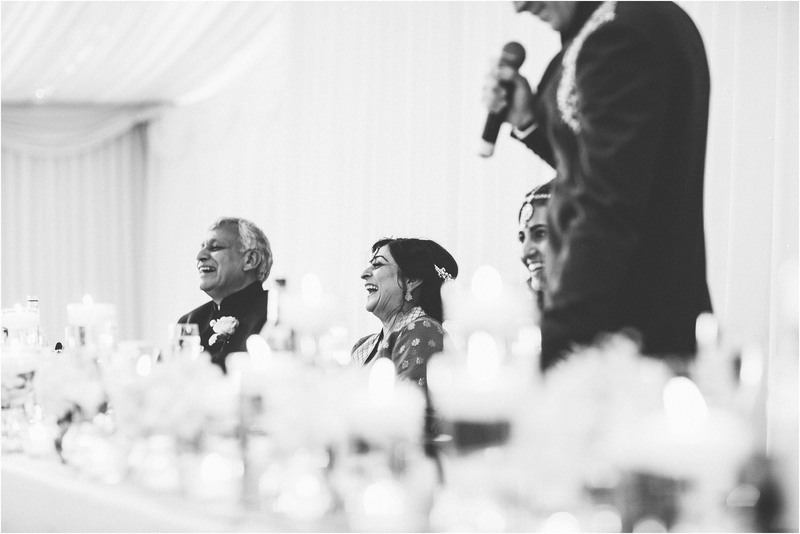 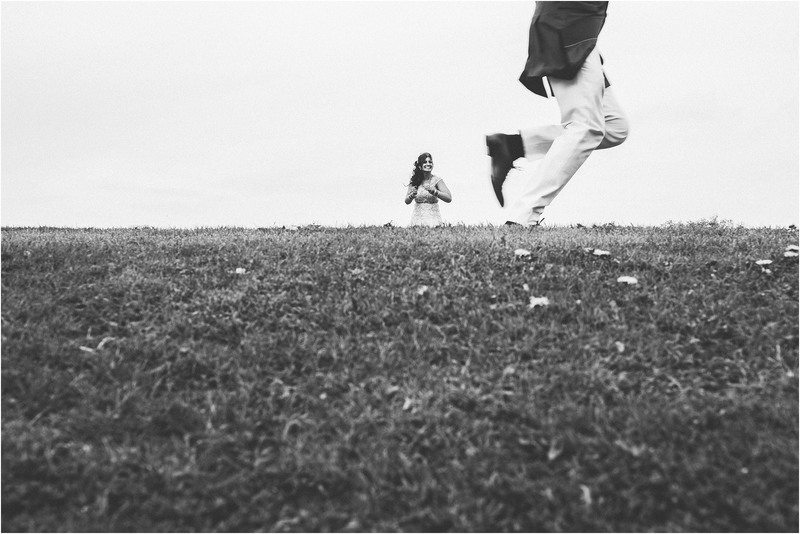 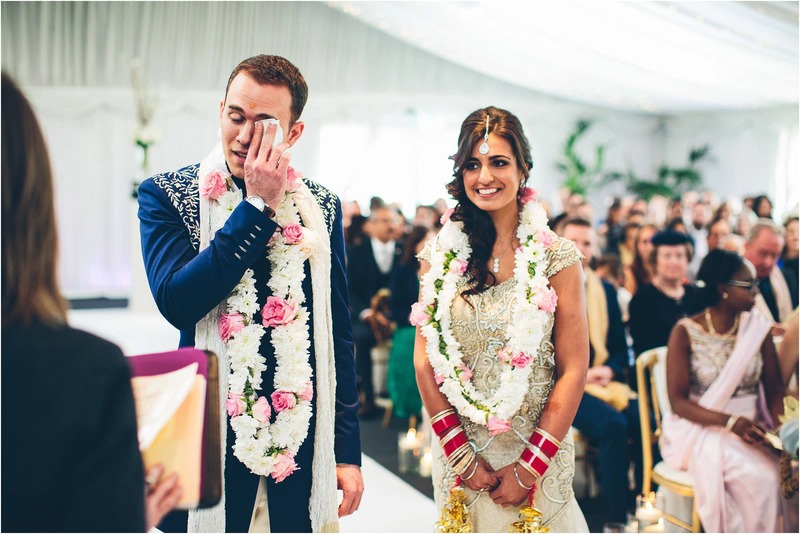 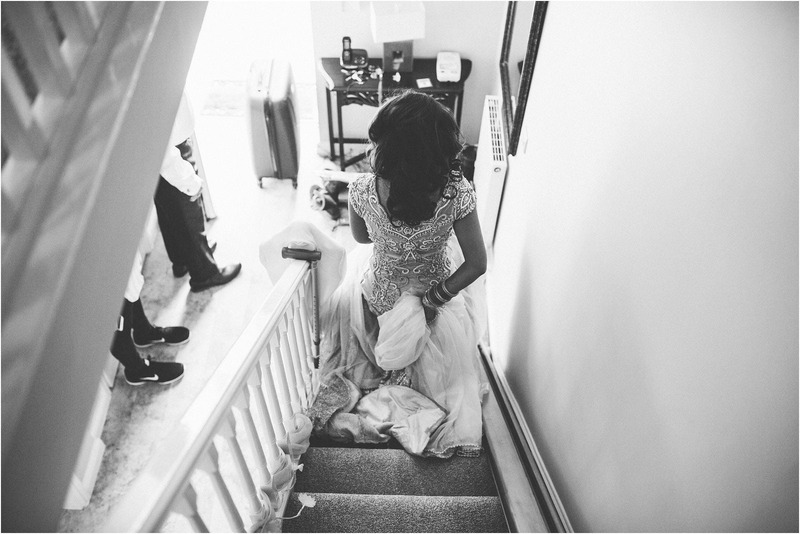 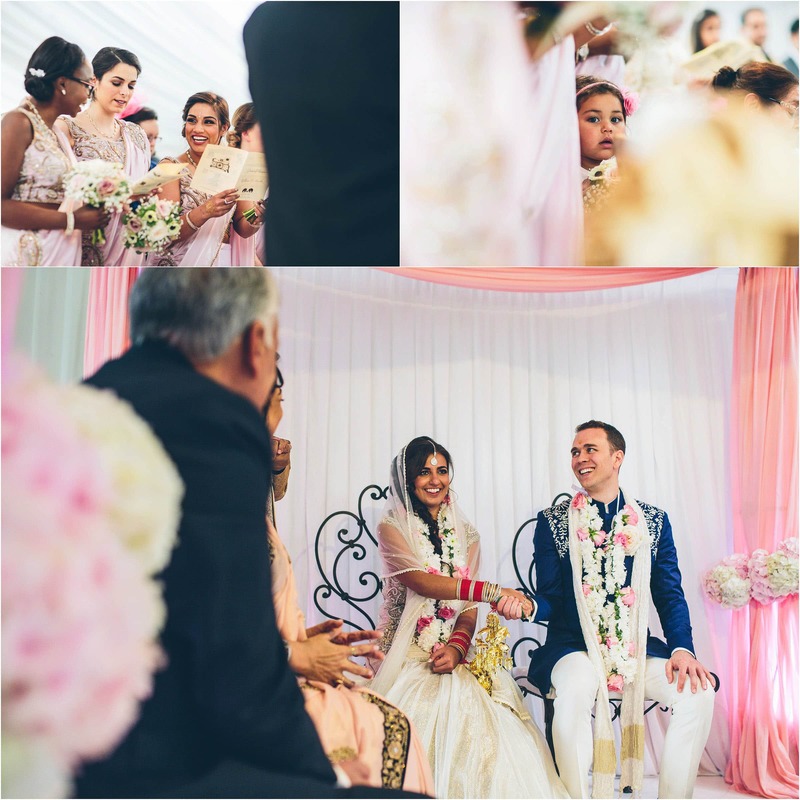 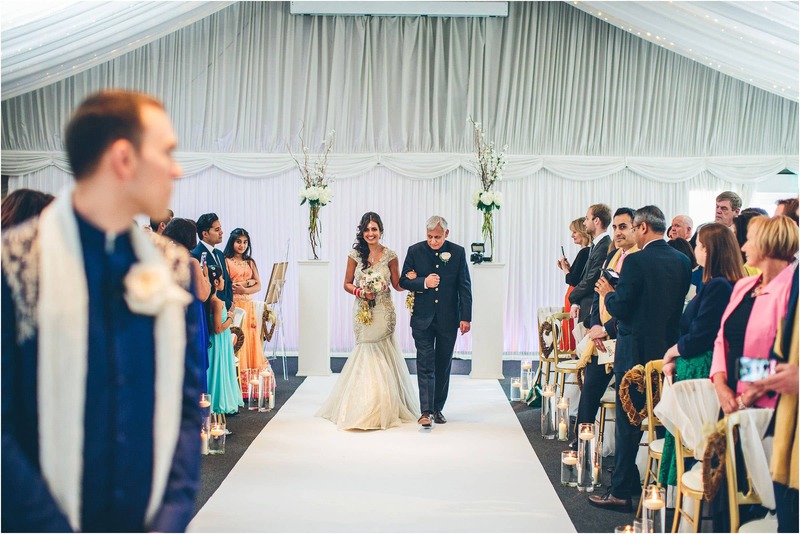 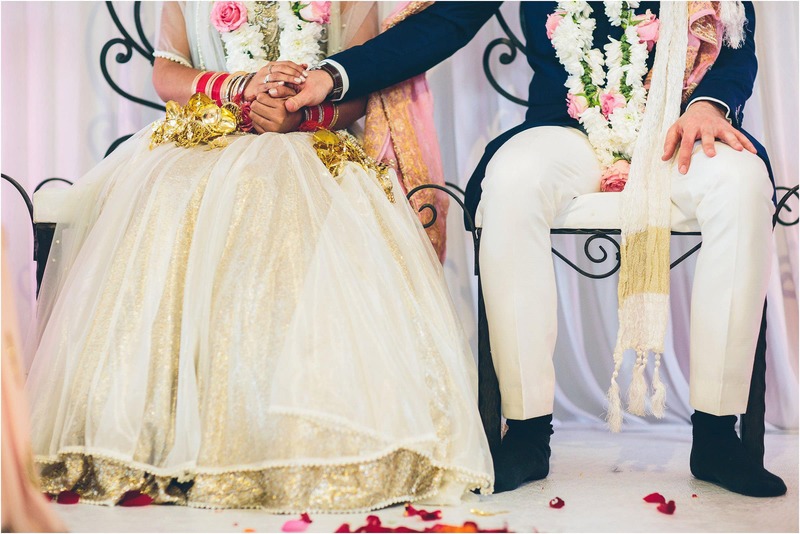 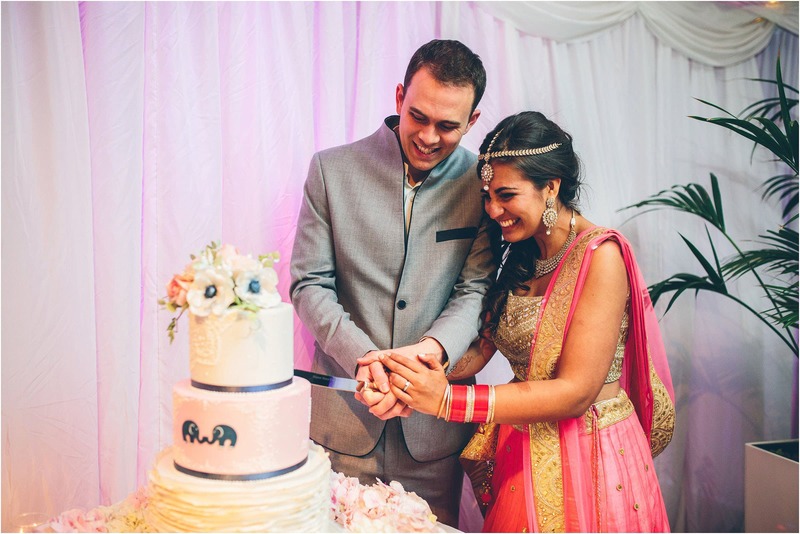 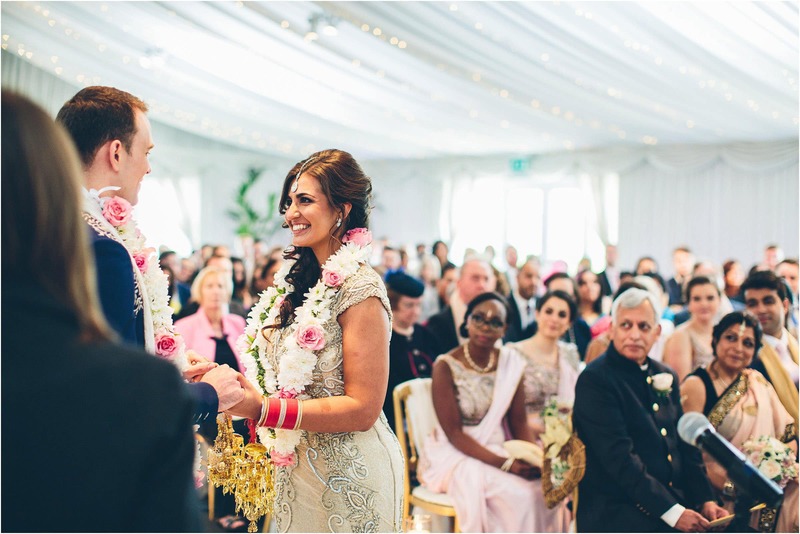 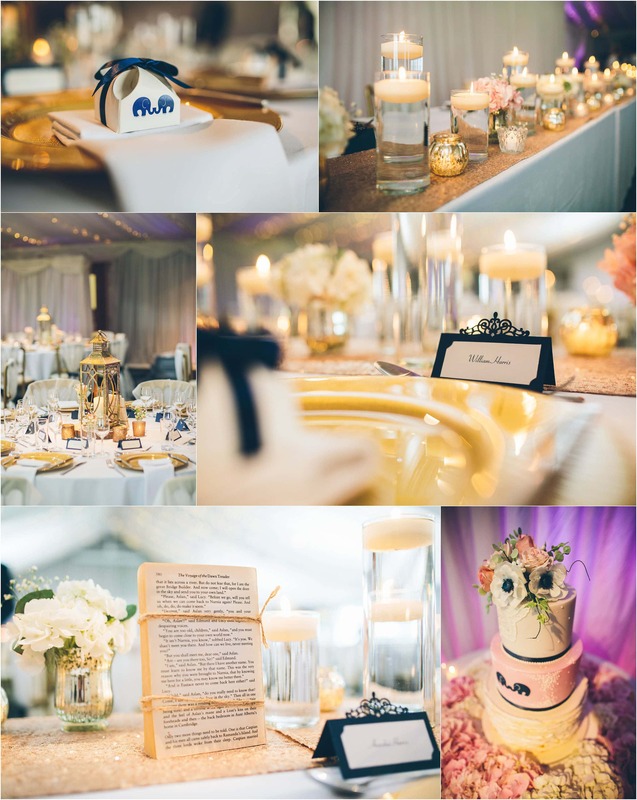 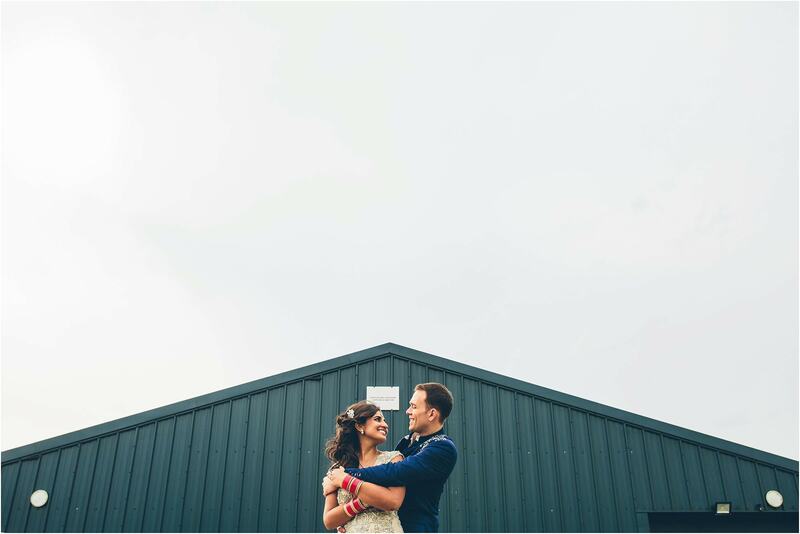 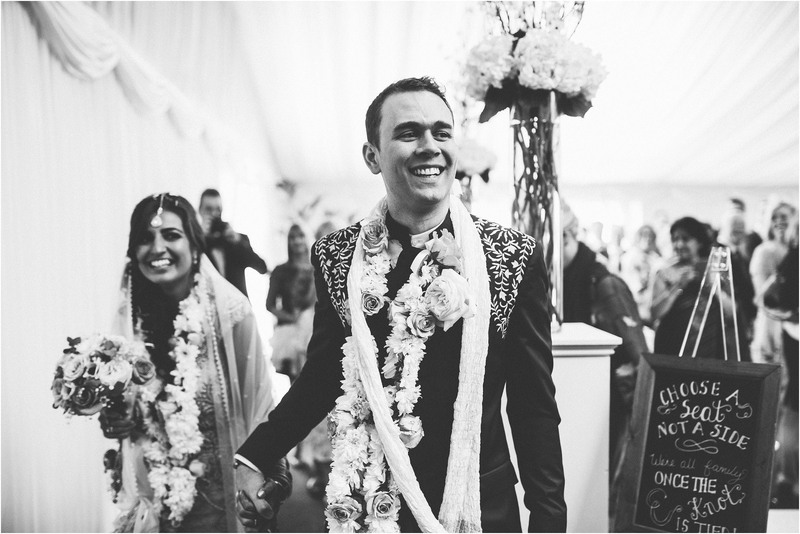 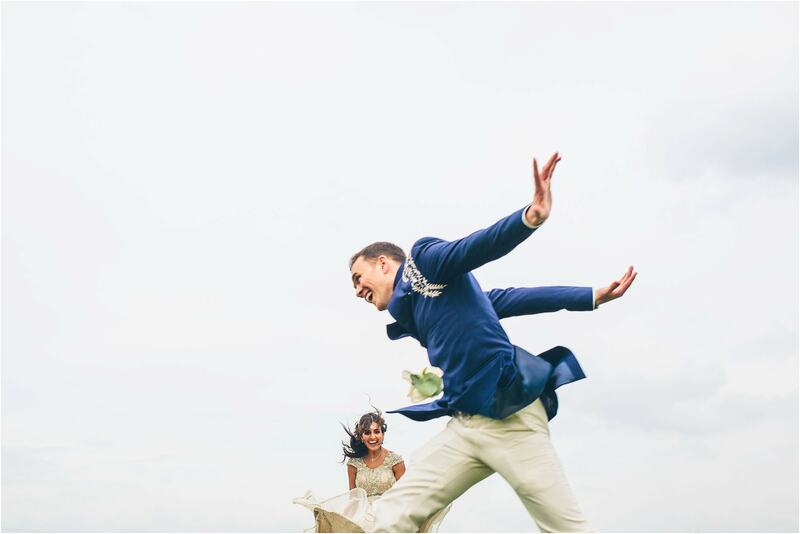 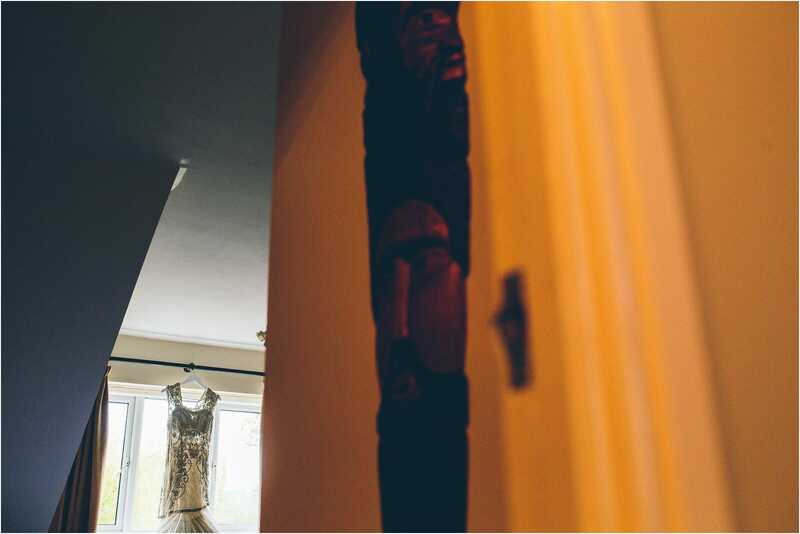 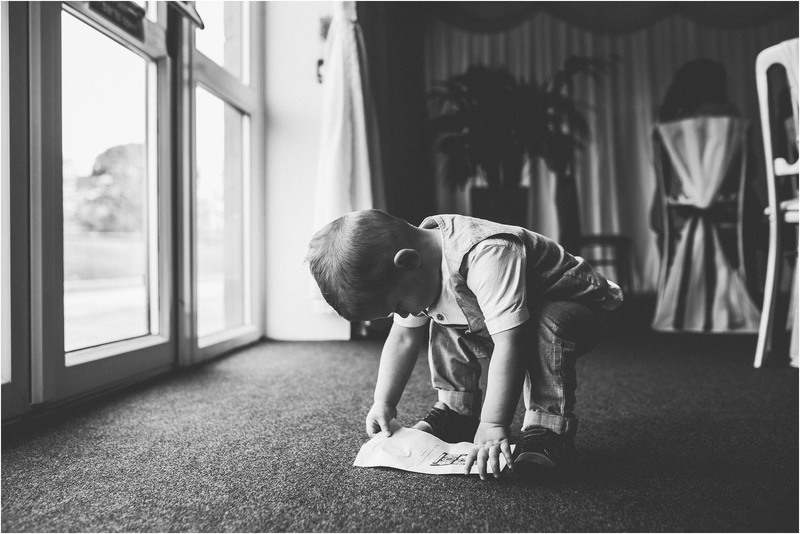 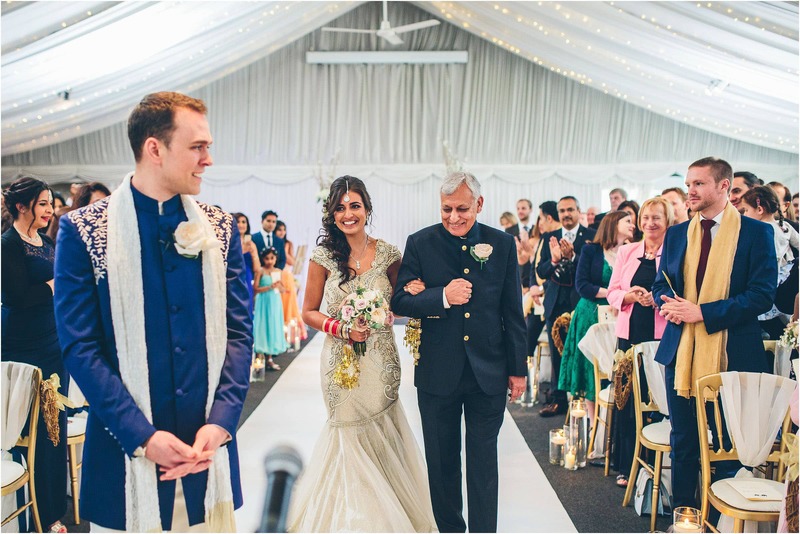 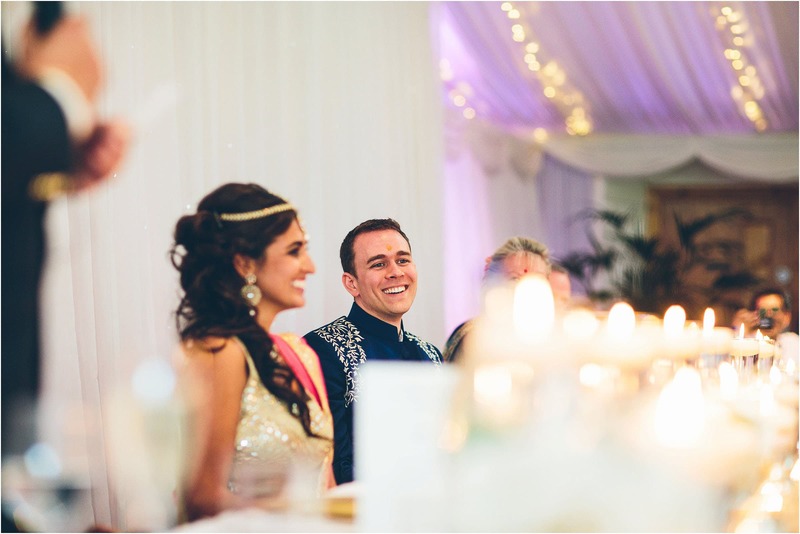 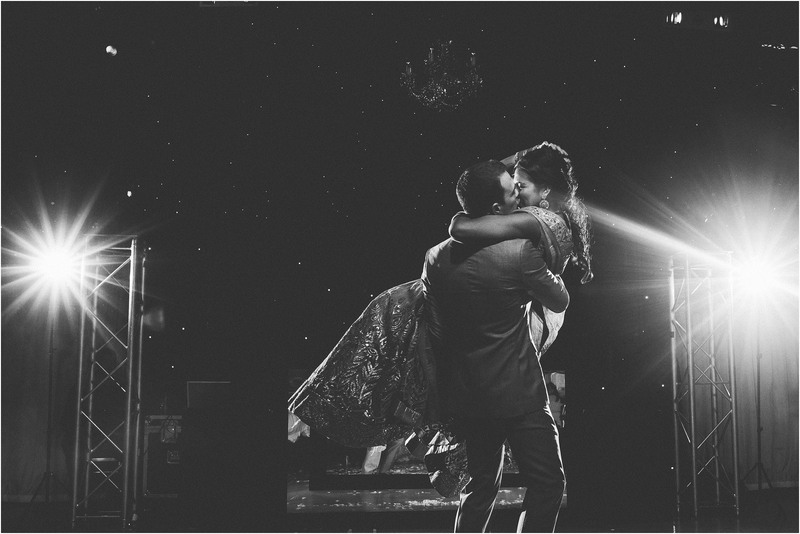 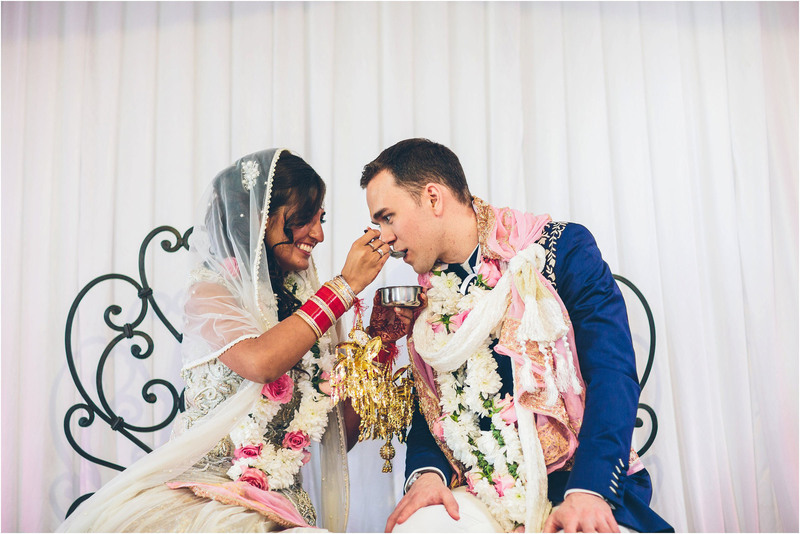 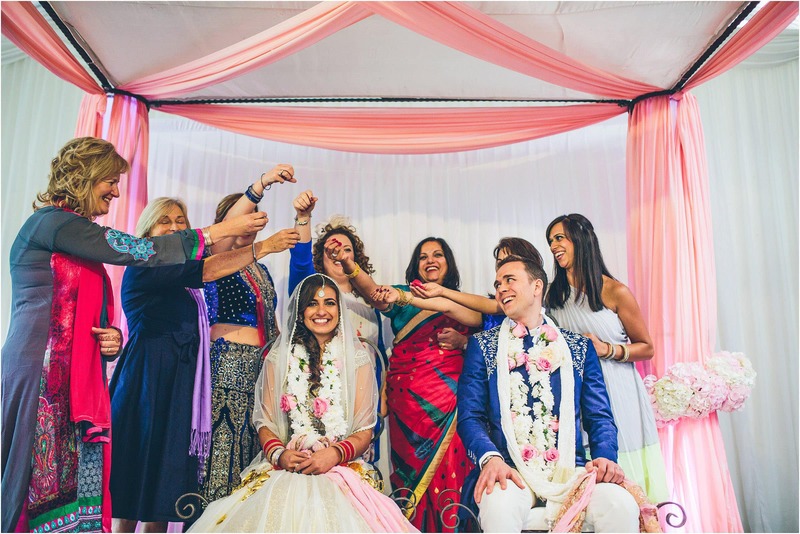 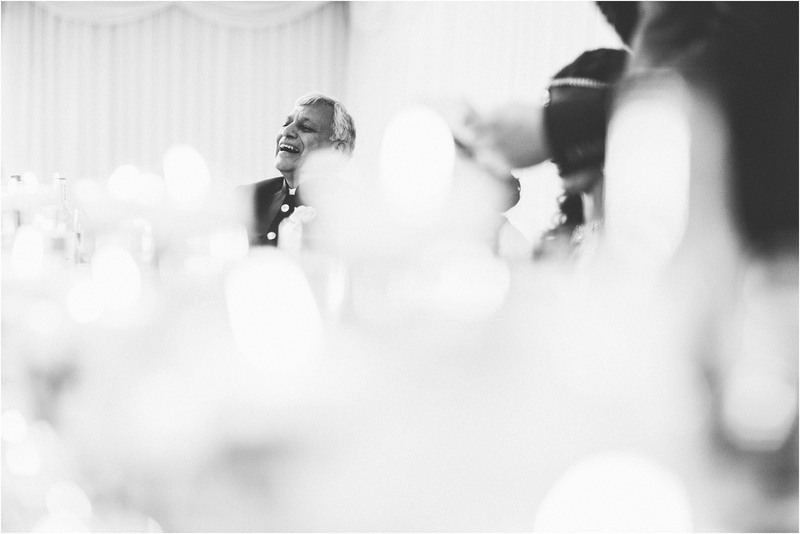 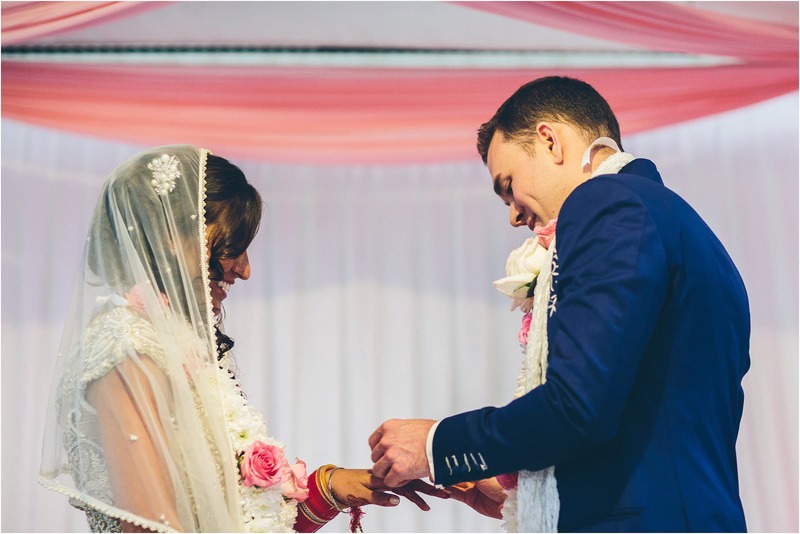 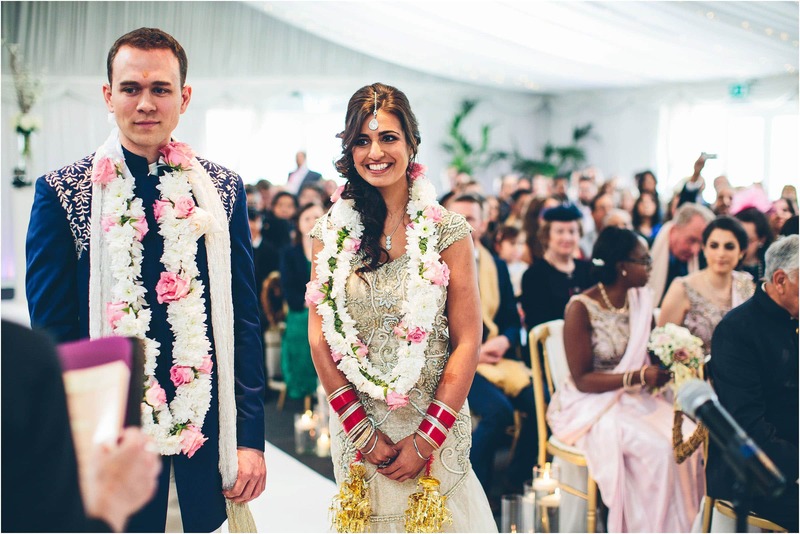 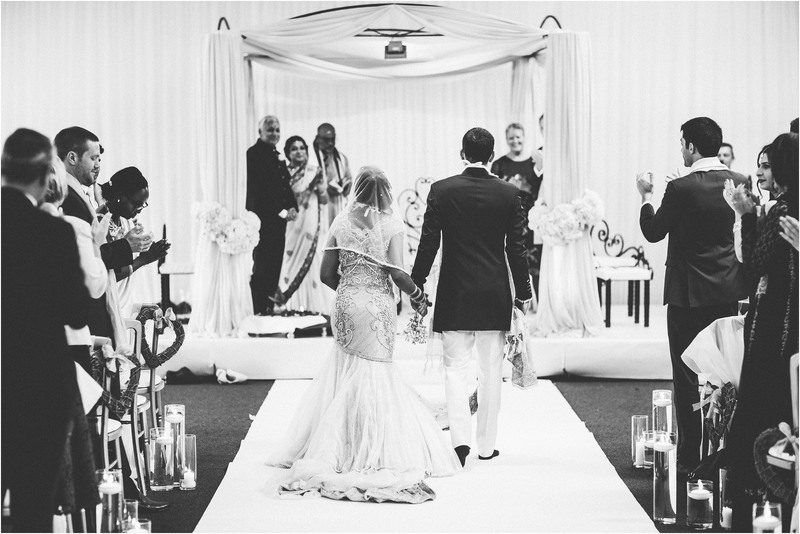 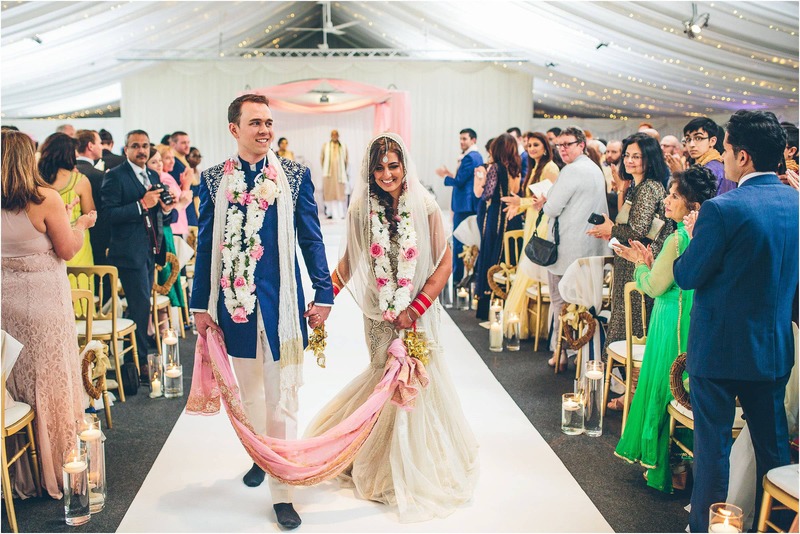 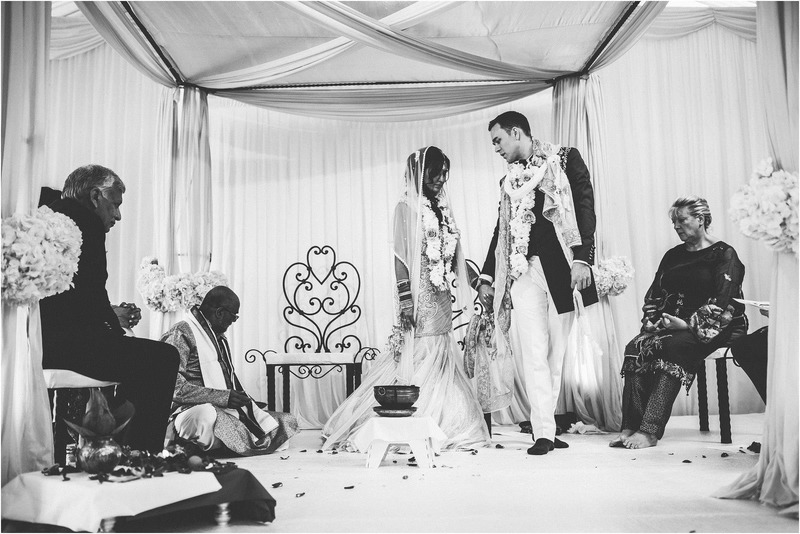 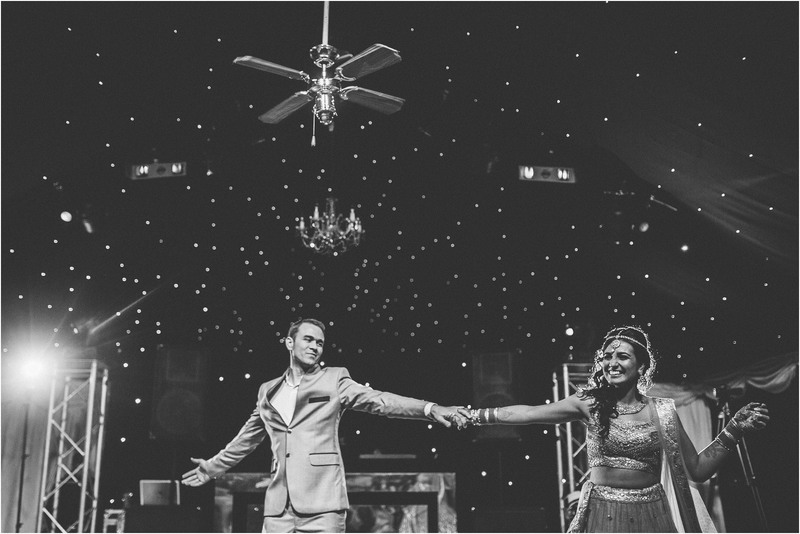 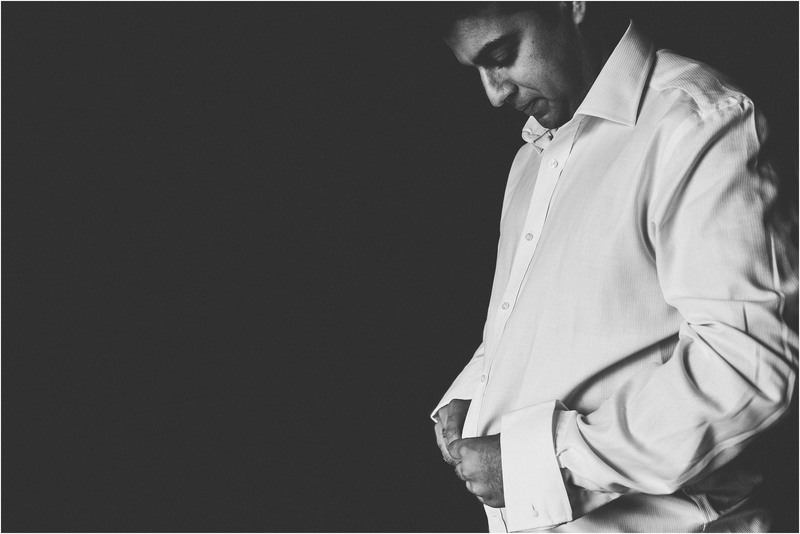 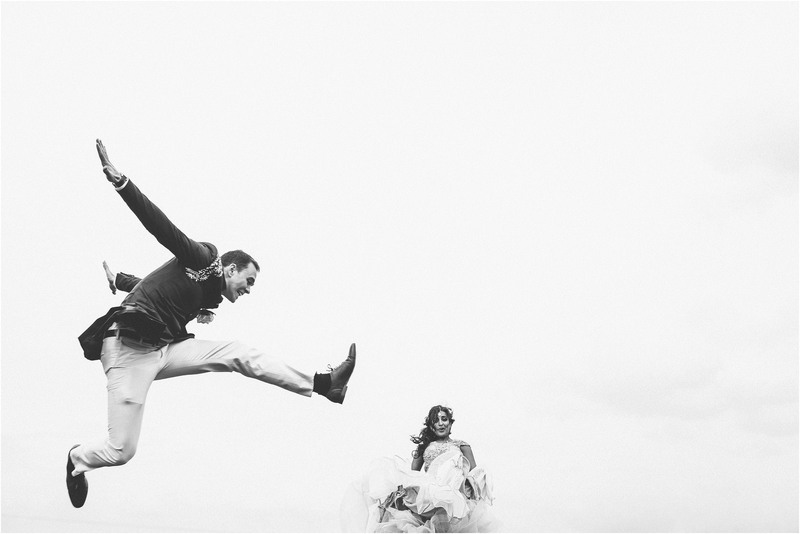 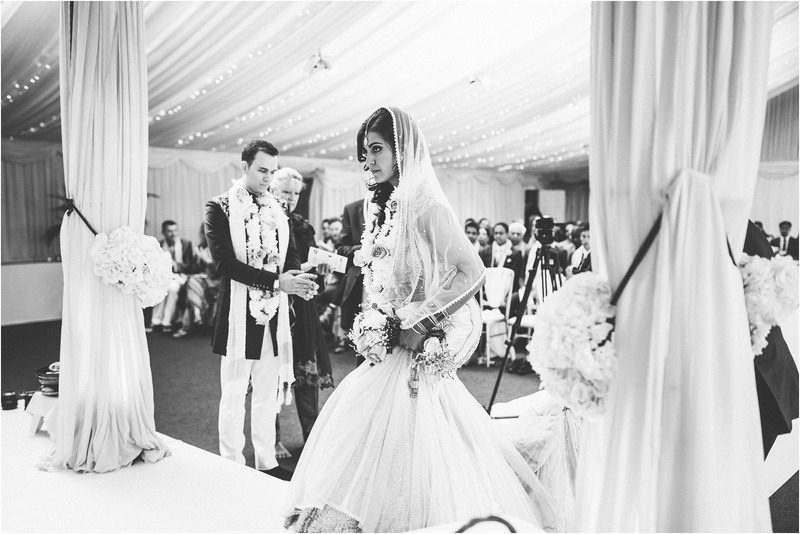 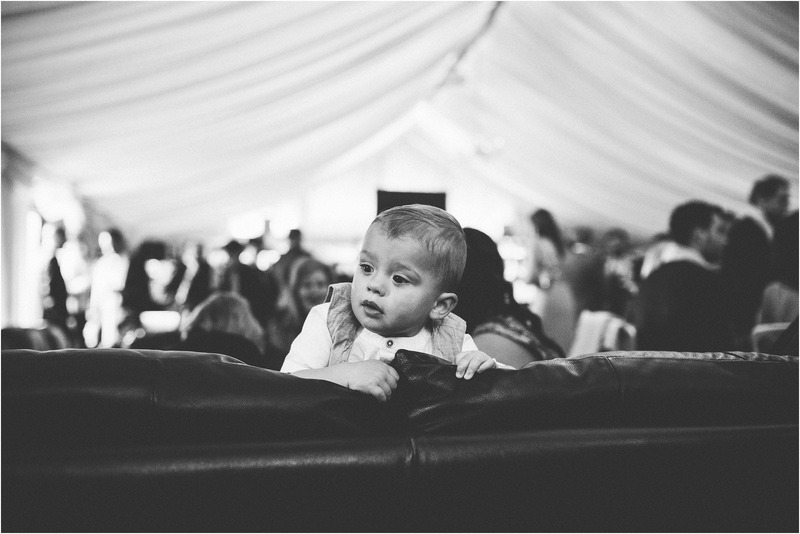 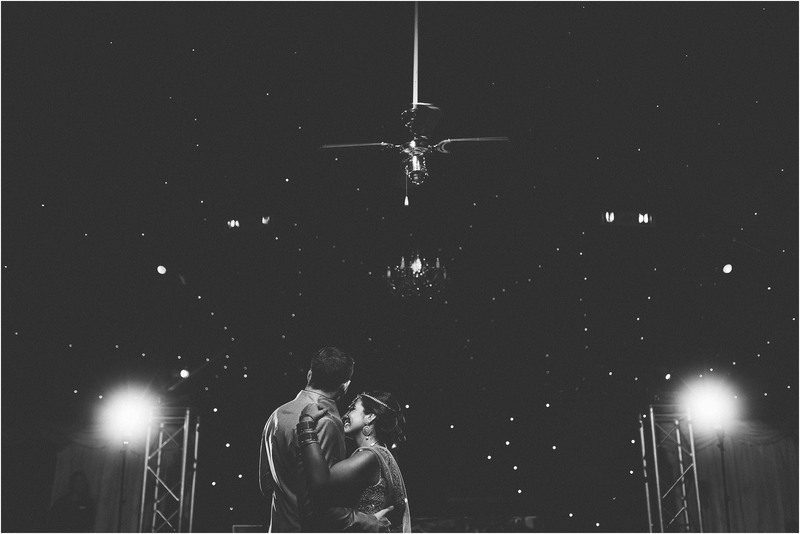 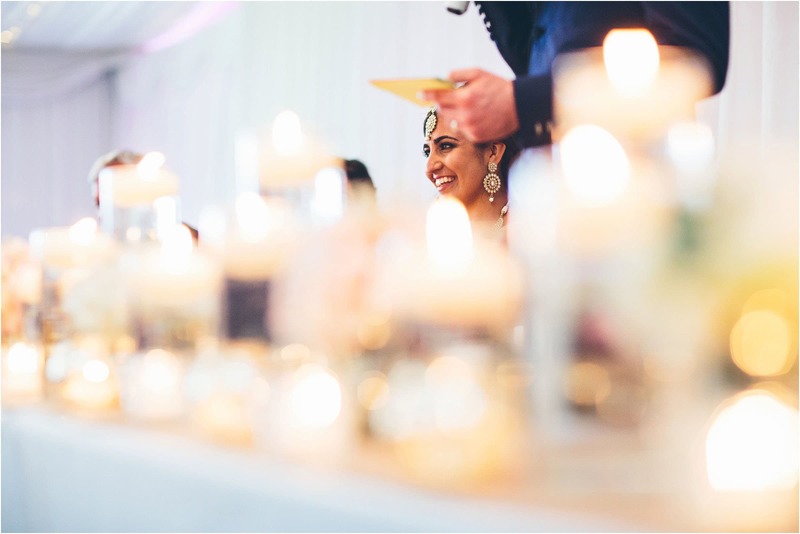 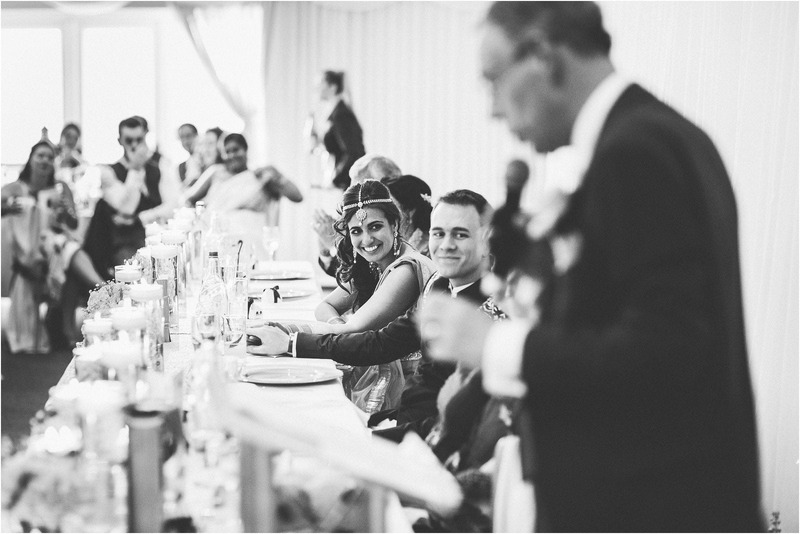 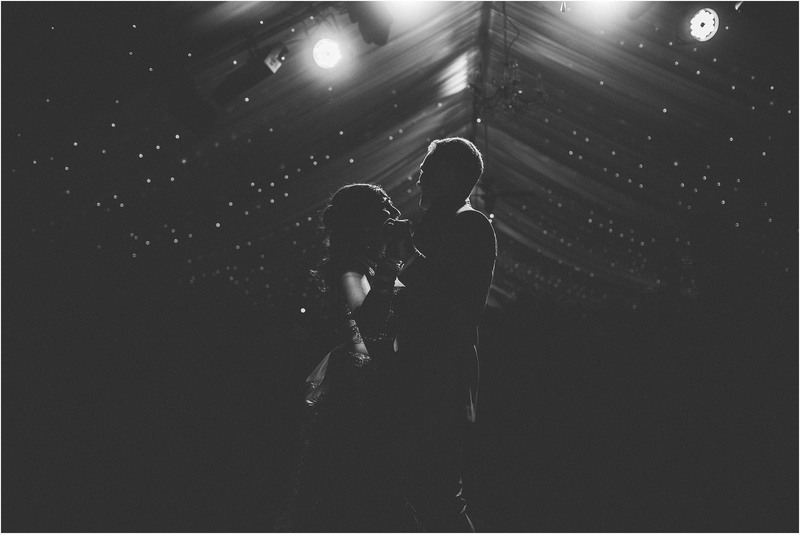 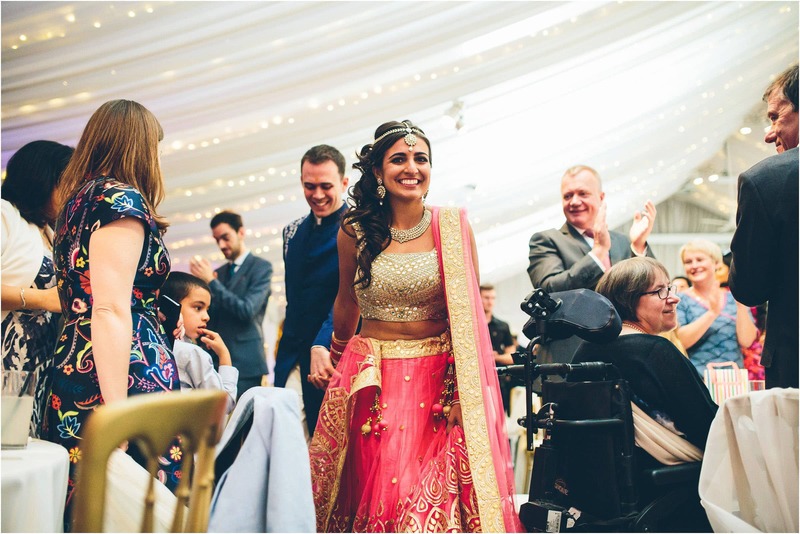 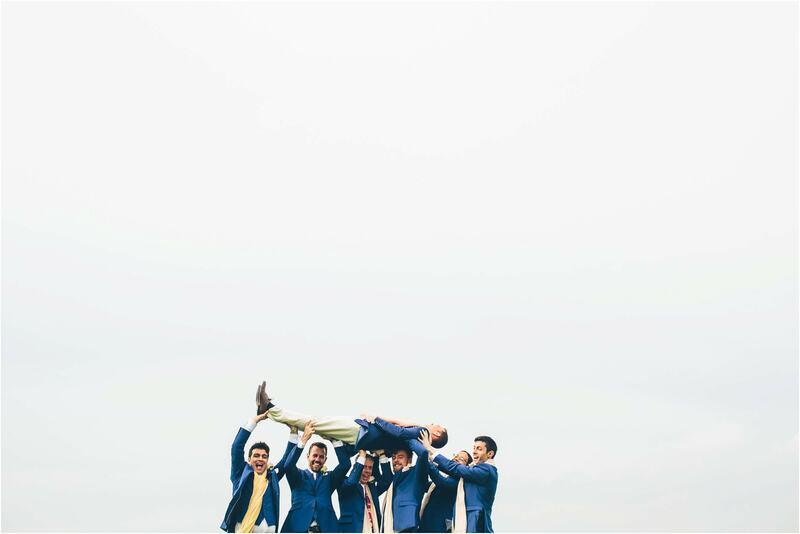 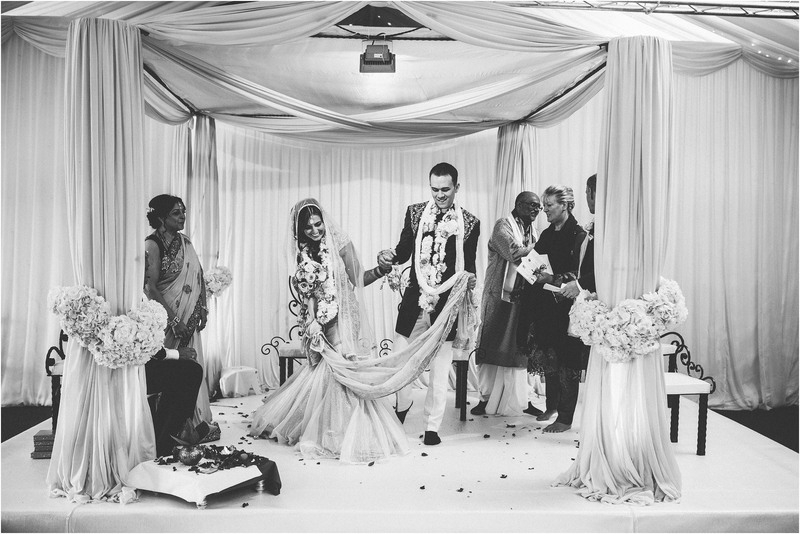 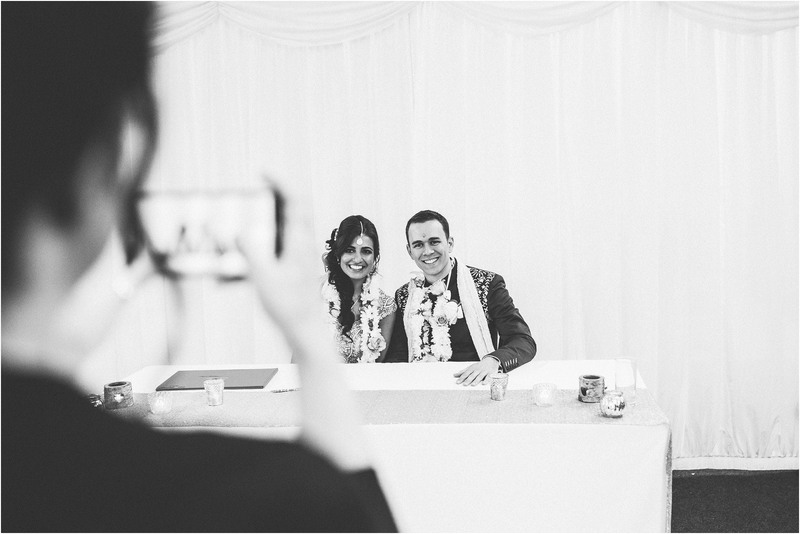 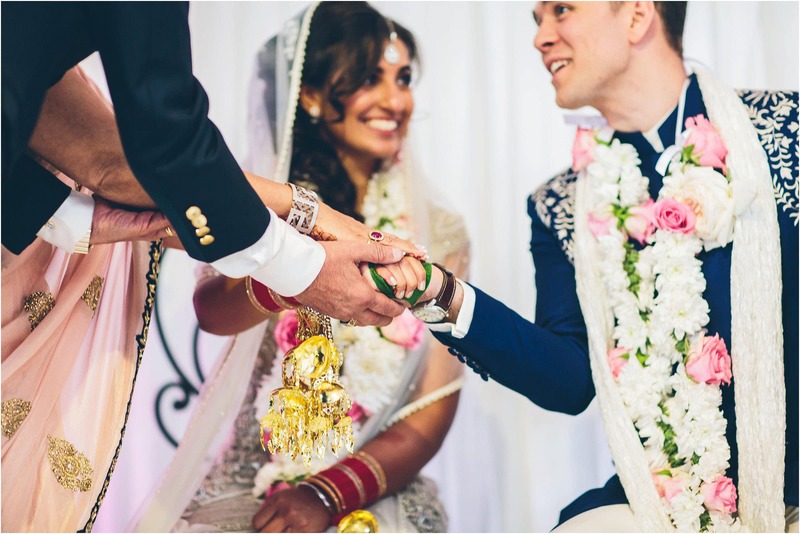 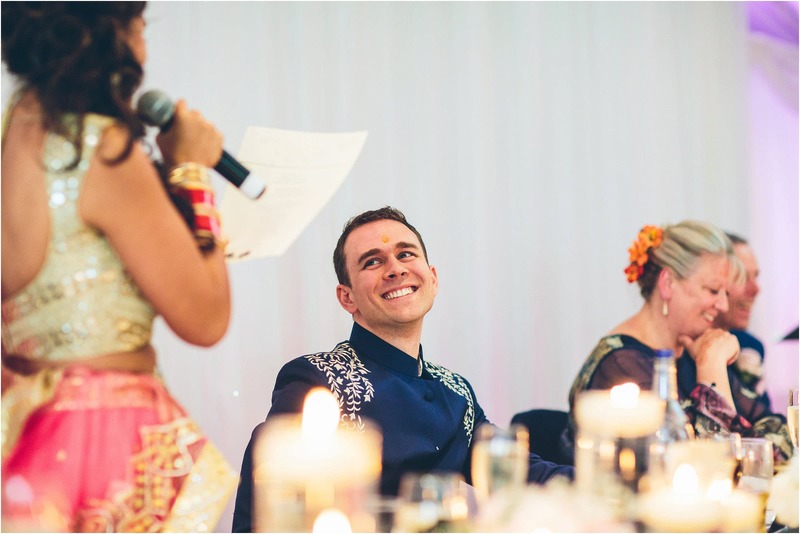 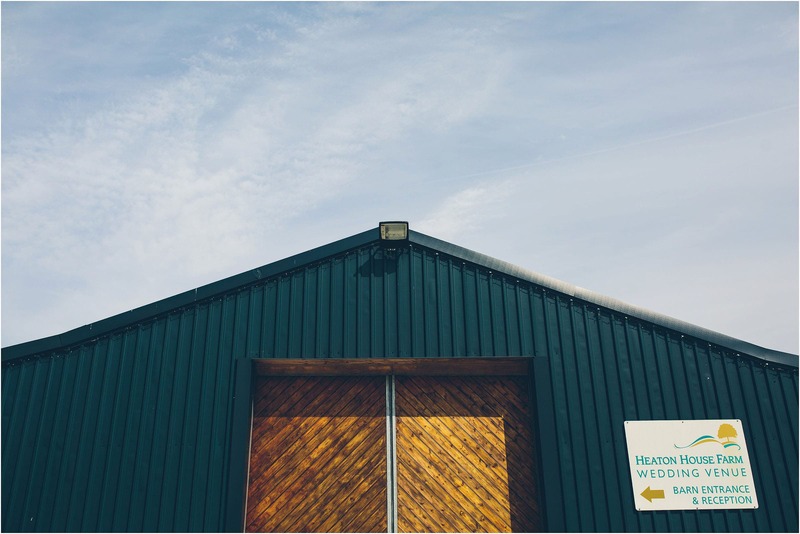 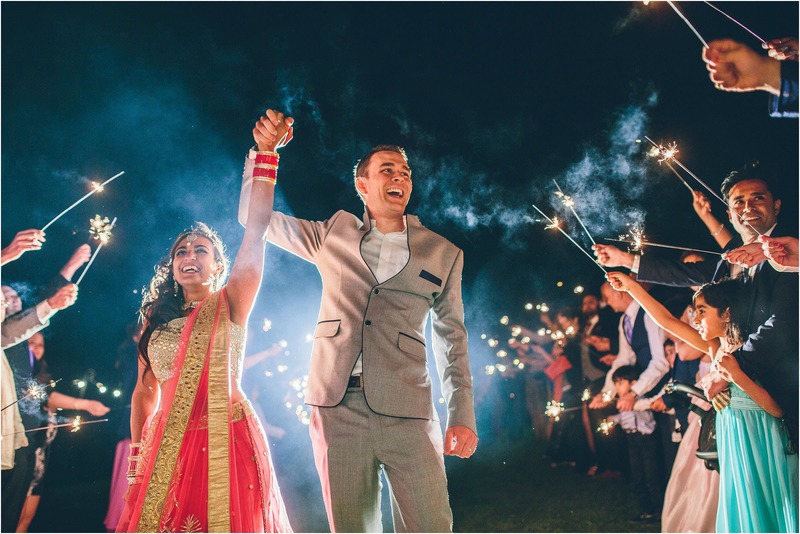 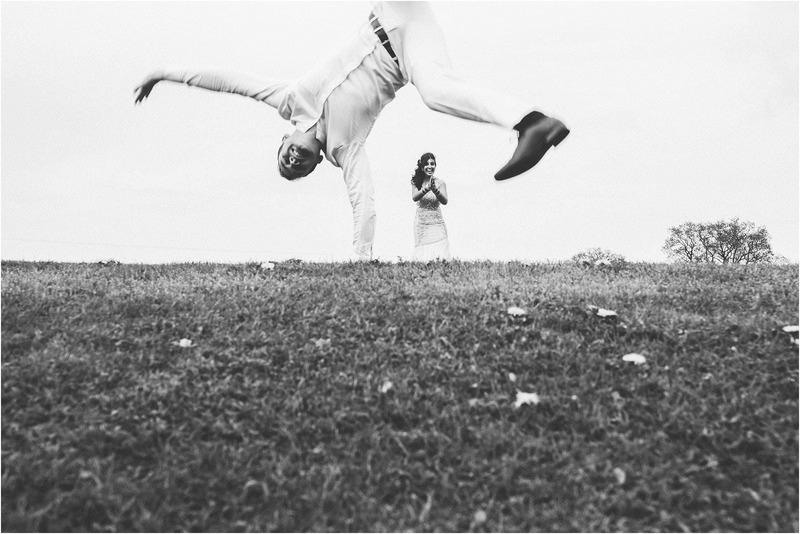 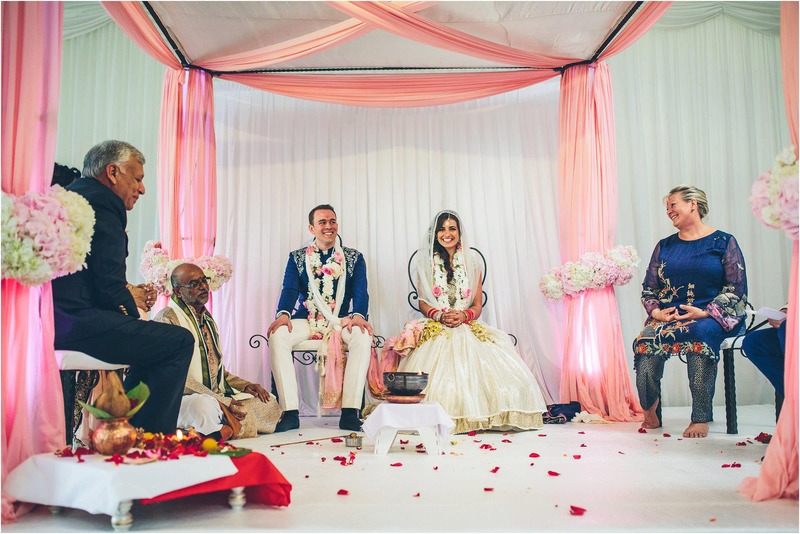 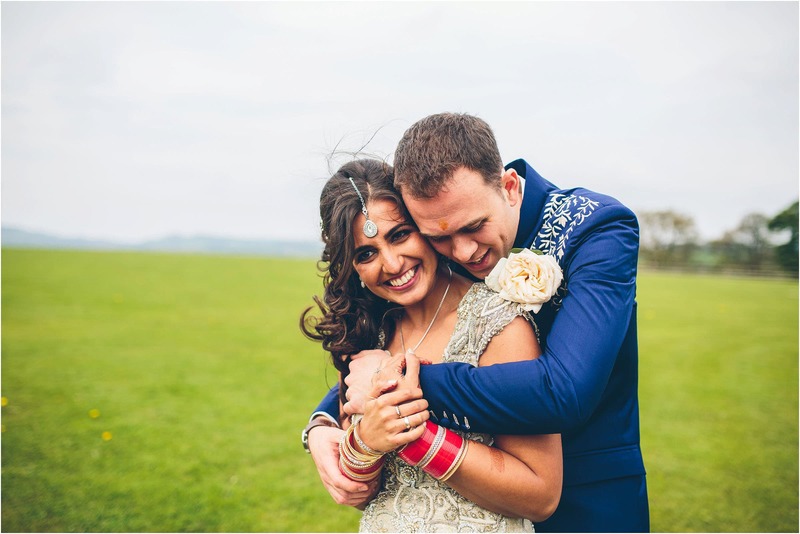 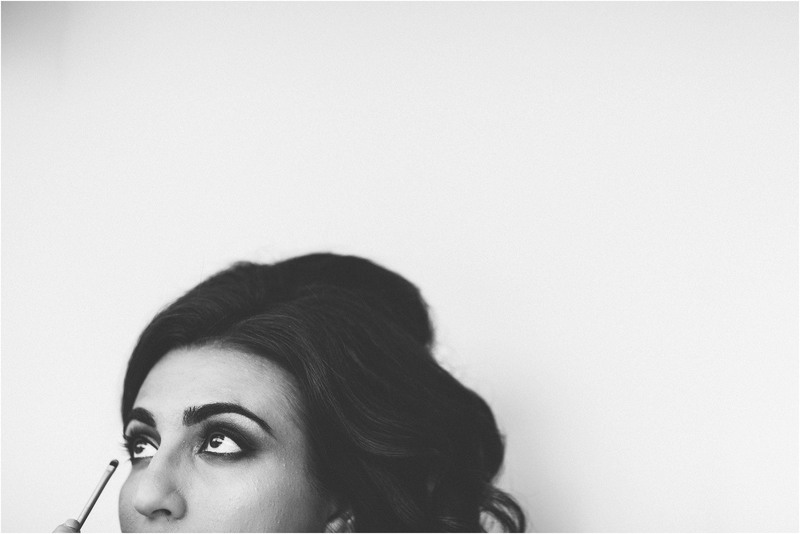 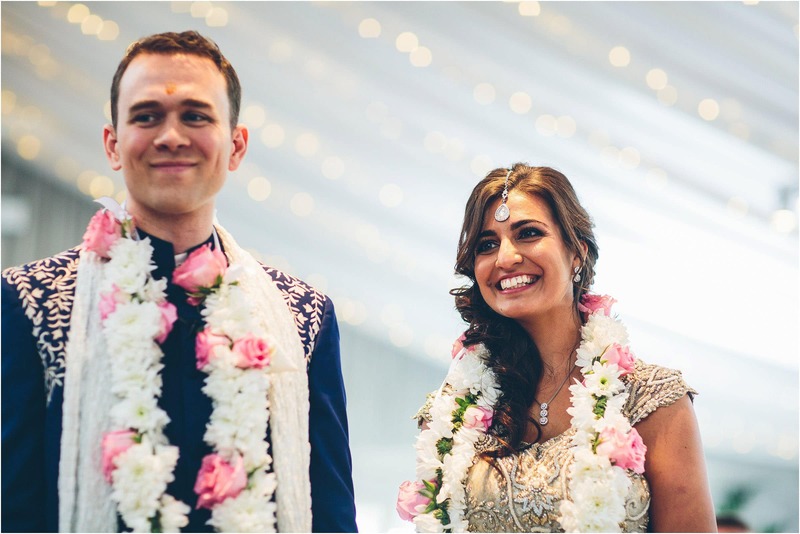 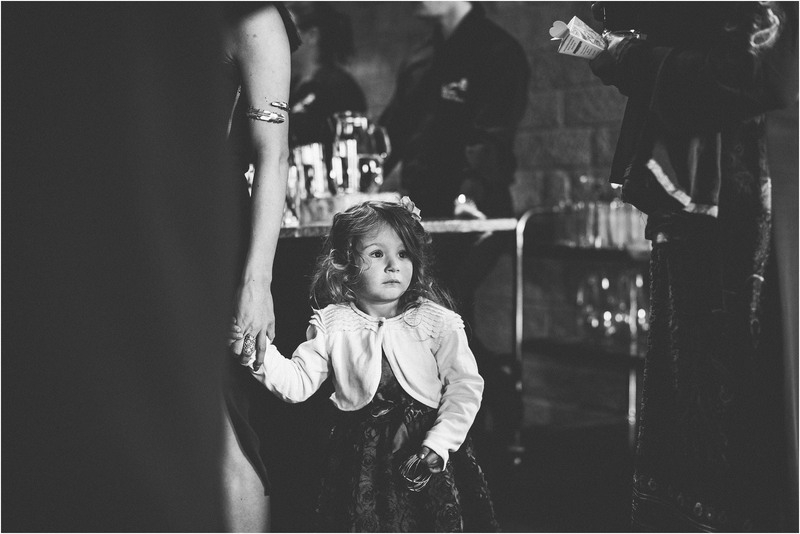 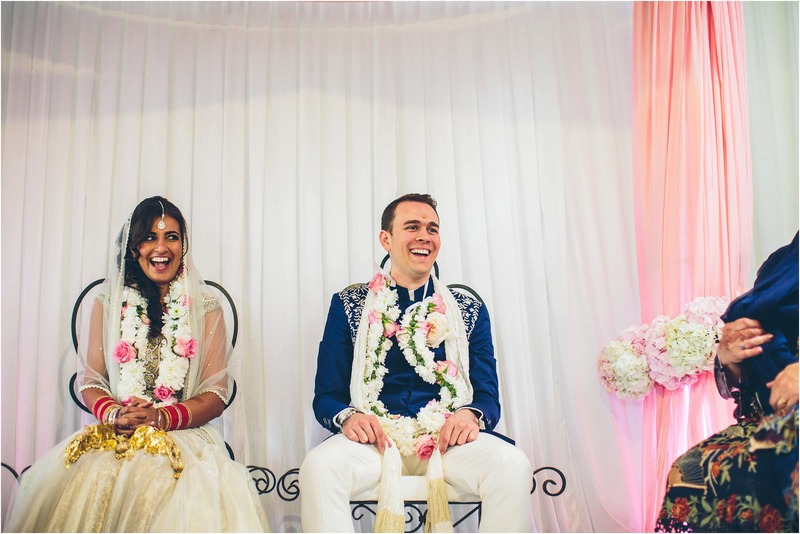 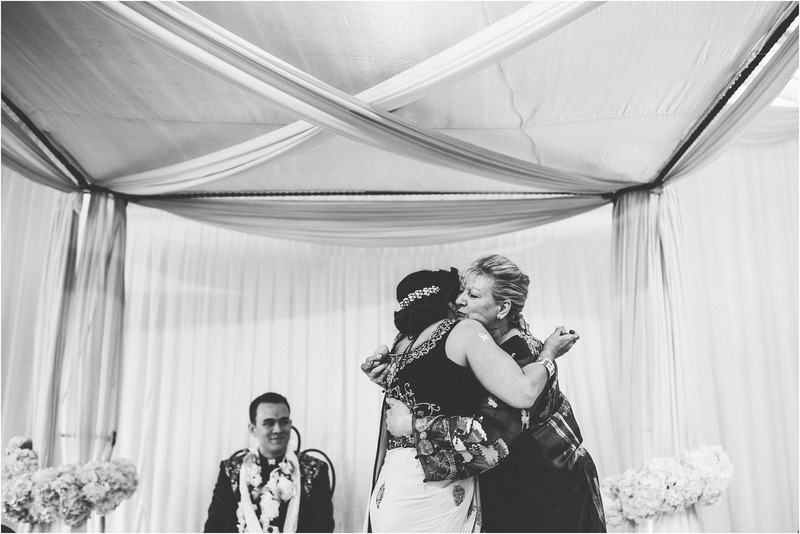 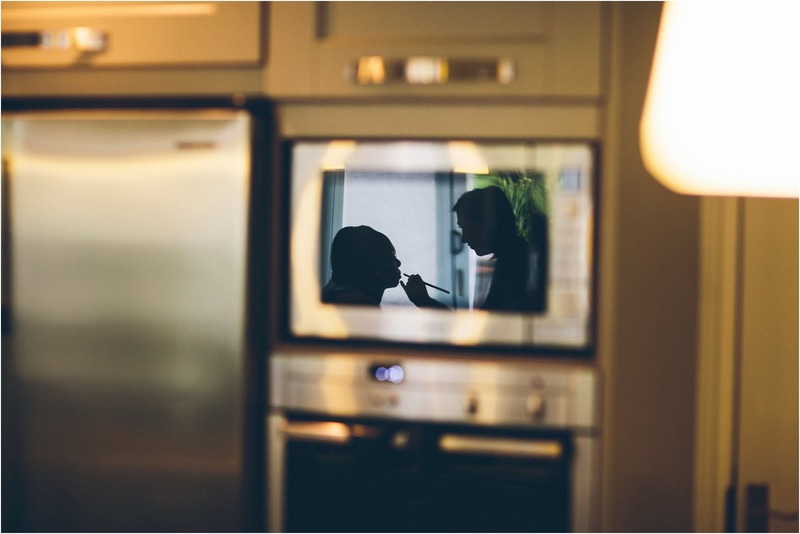 Aneesha and Will, what can I say … your wedding at Heaton House Farm was mind-blowing! 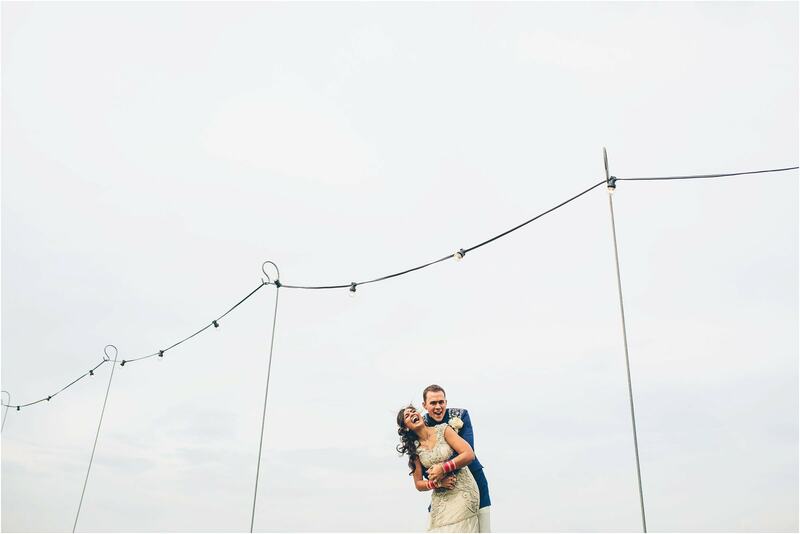 I knew after meeting these guys and talking about their wedding it was going to be awesome, but it totally surpassed my expectations. 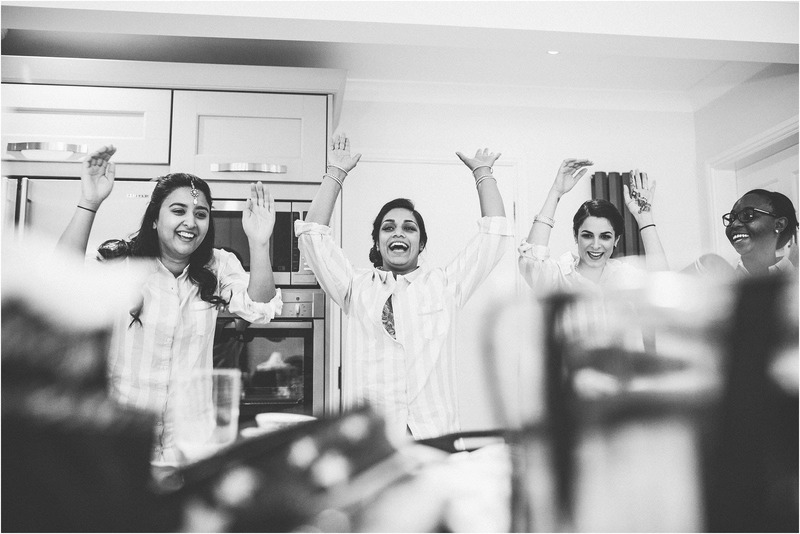 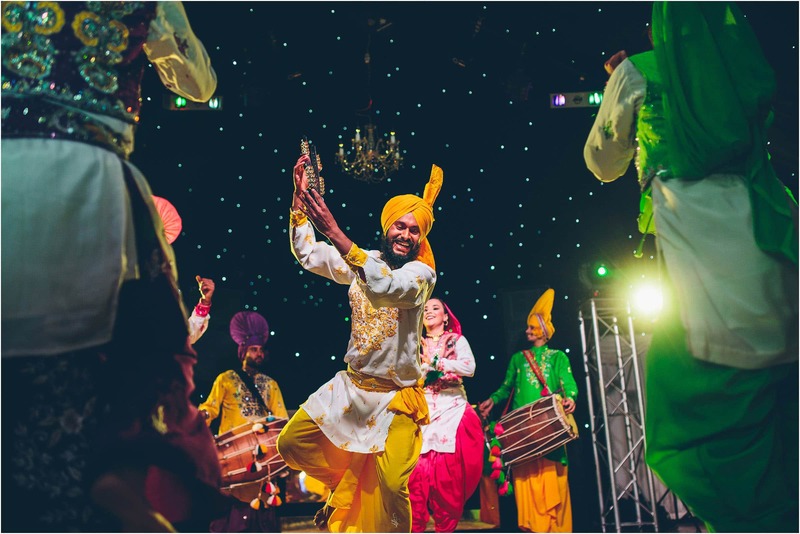 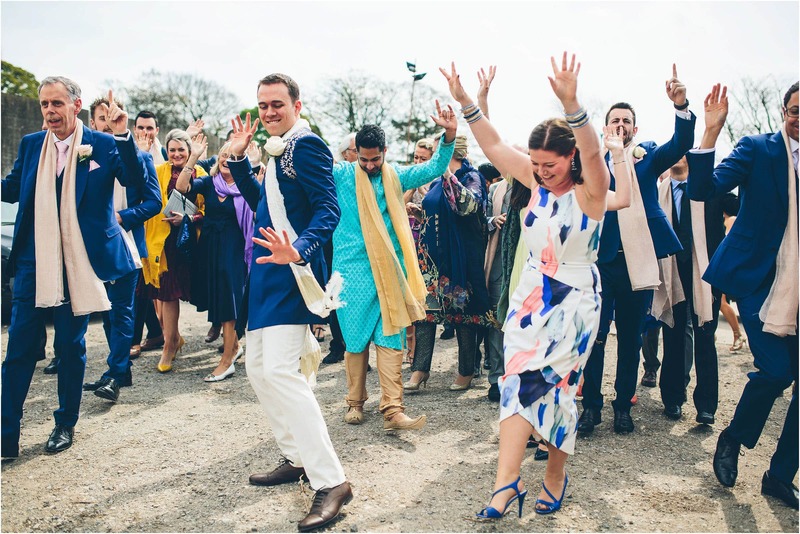 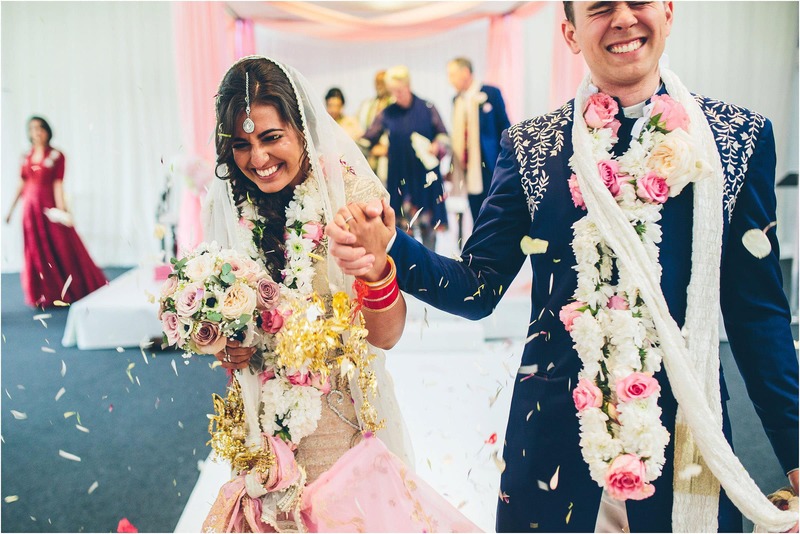 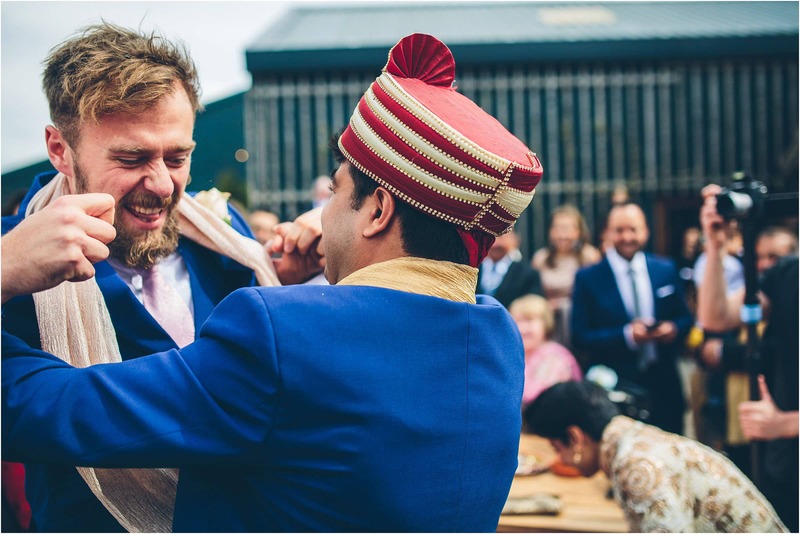 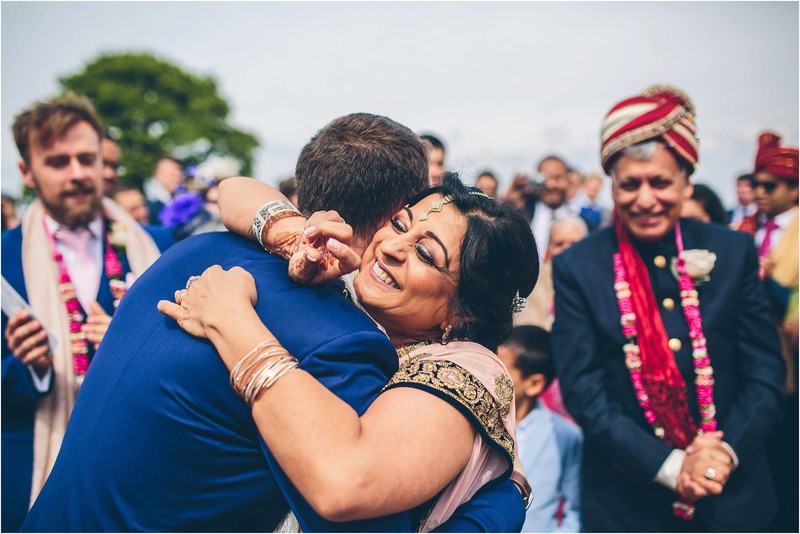 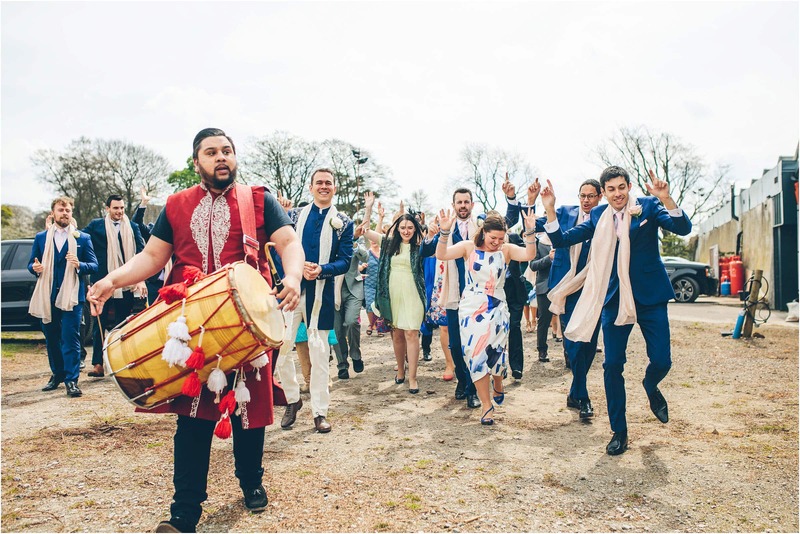 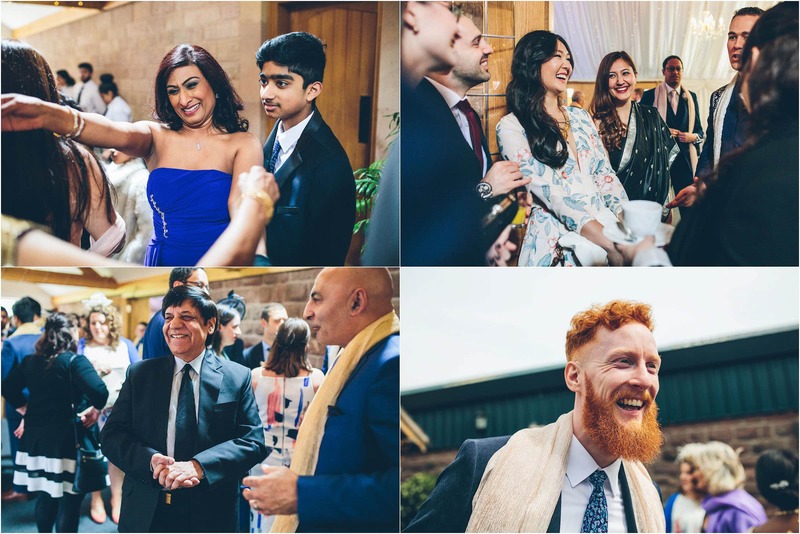 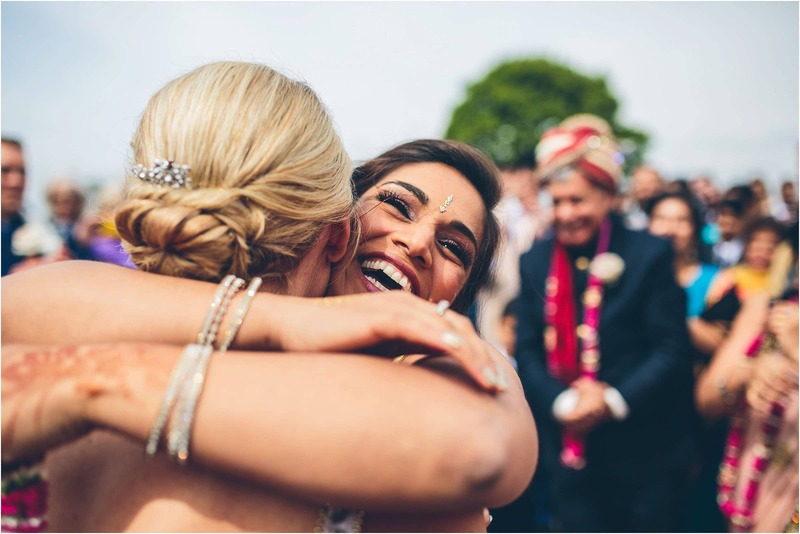 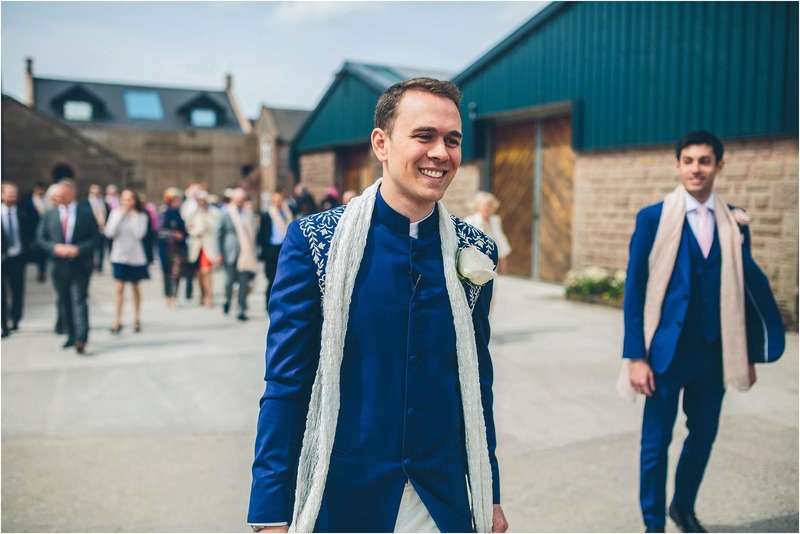 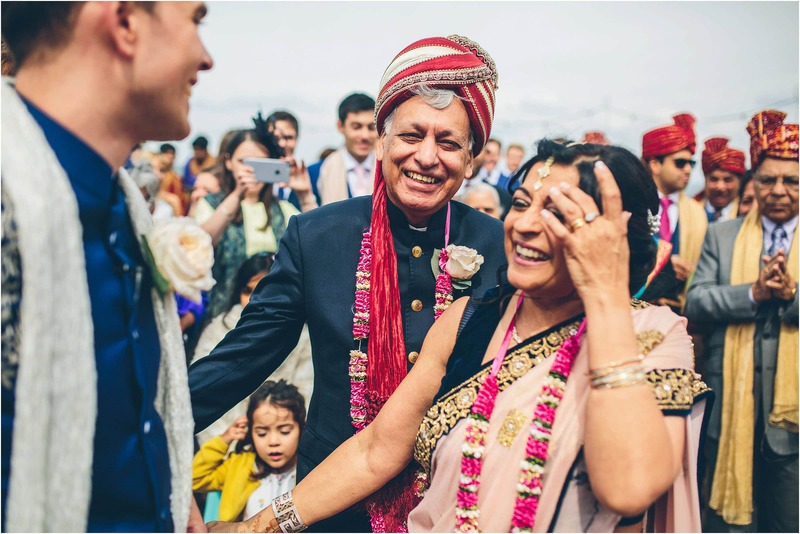 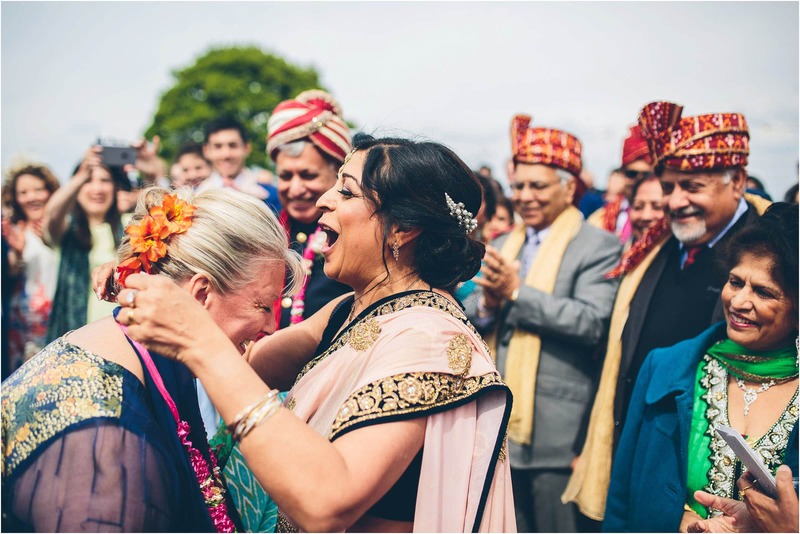 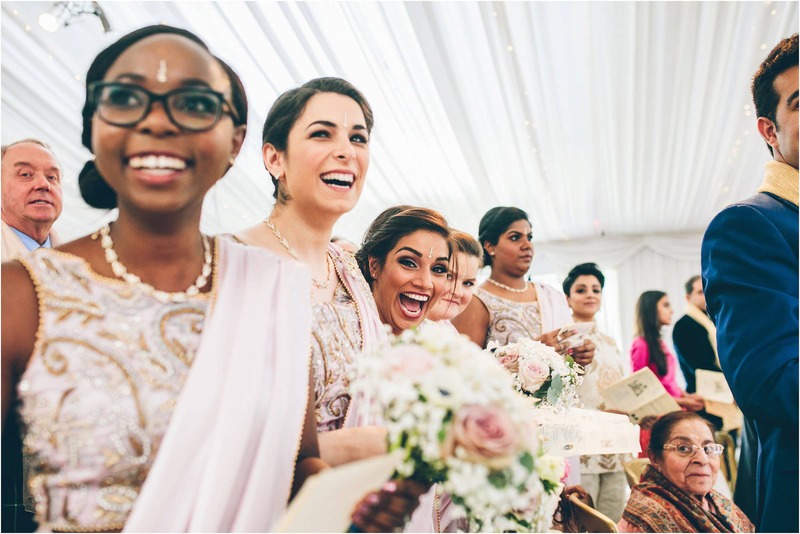 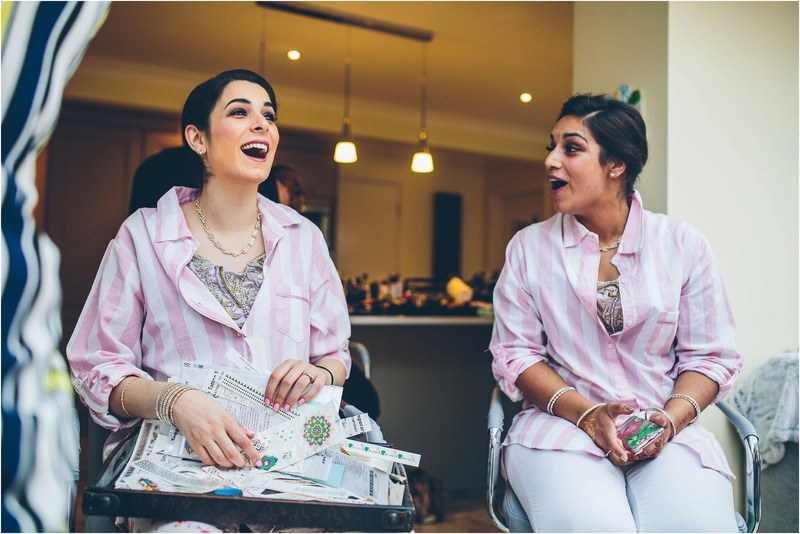 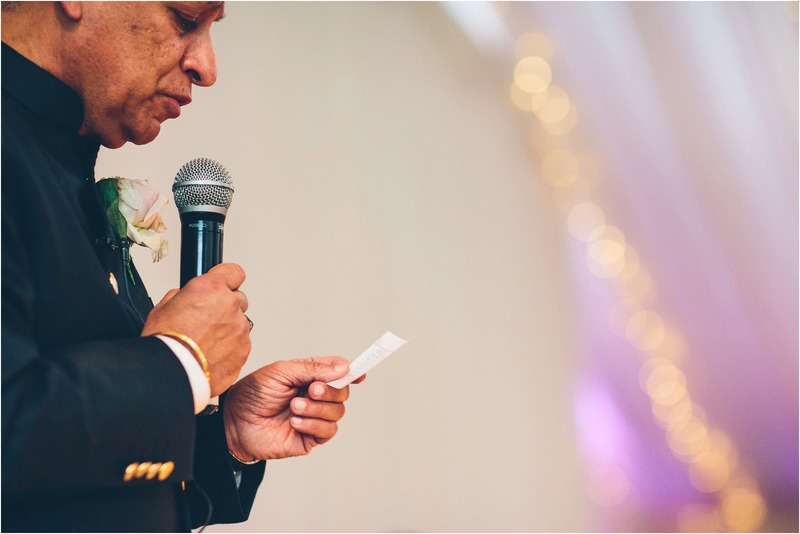 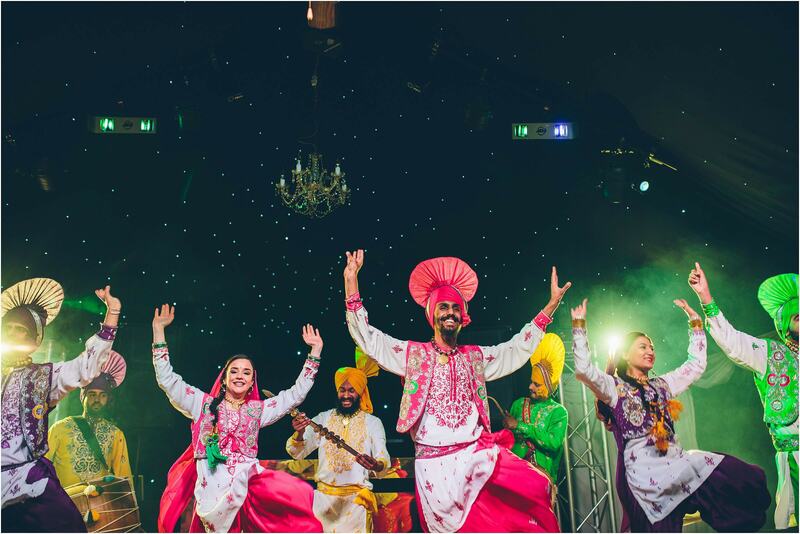 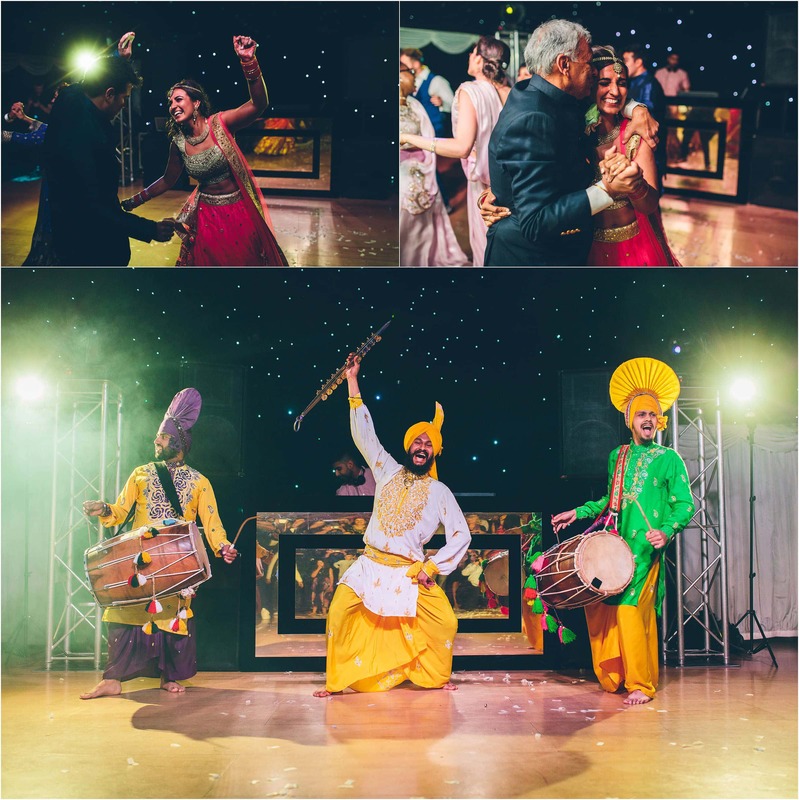 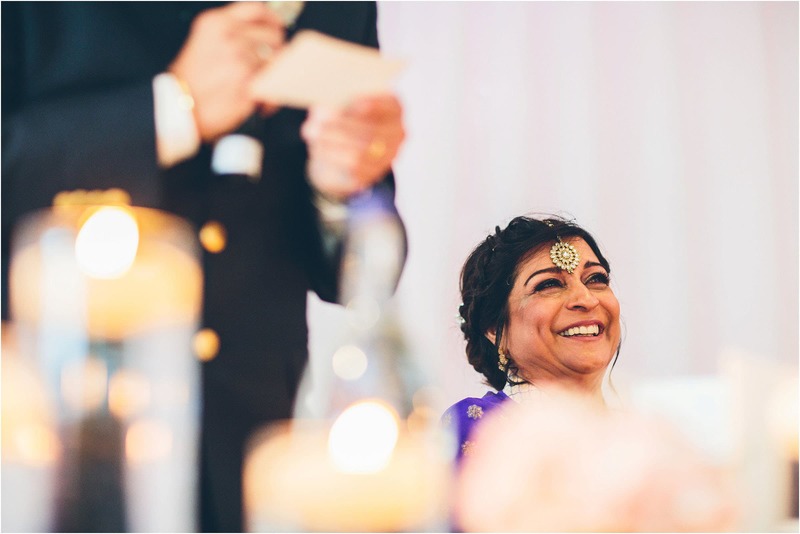 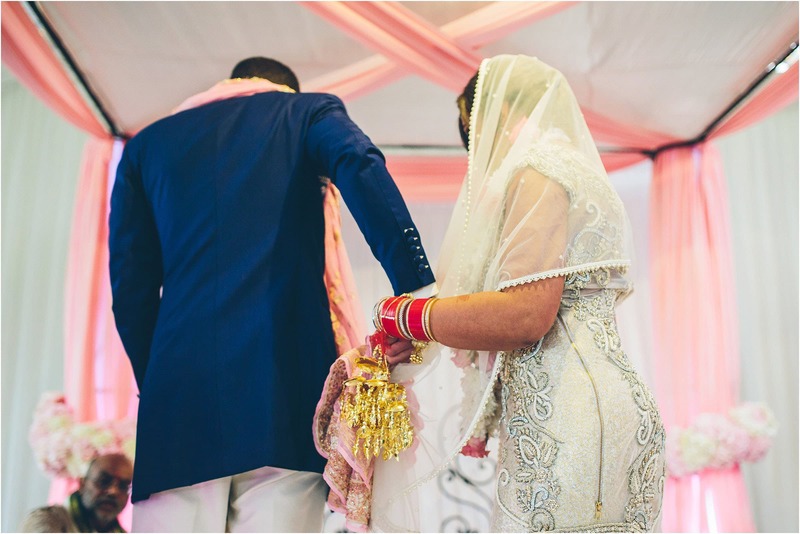 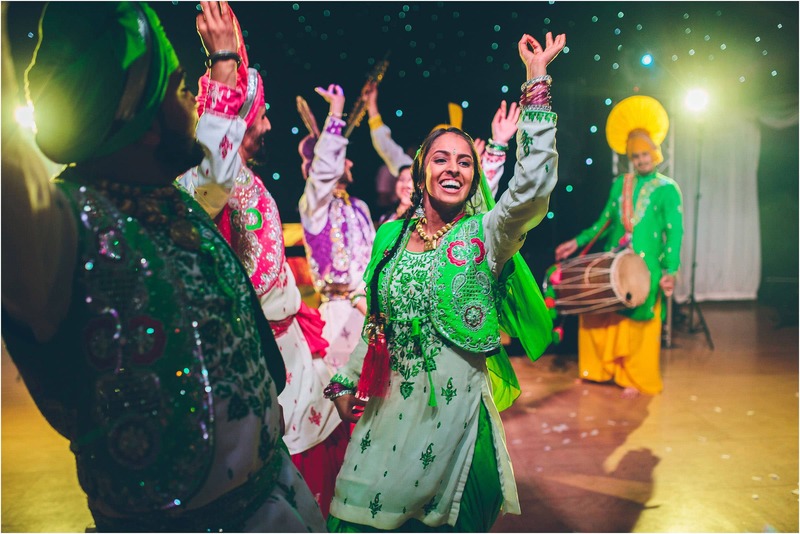 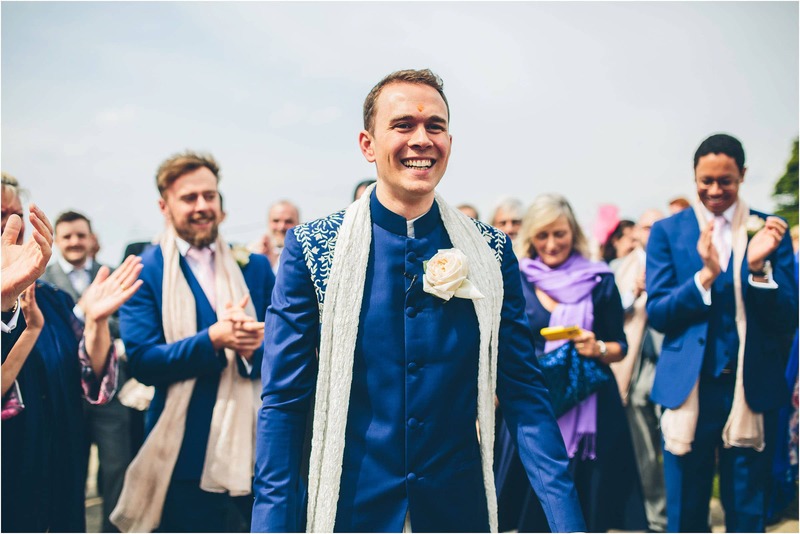 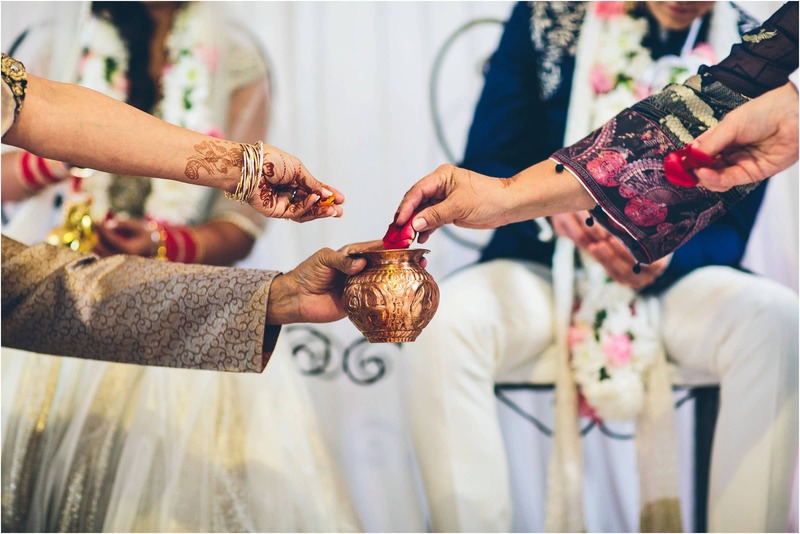 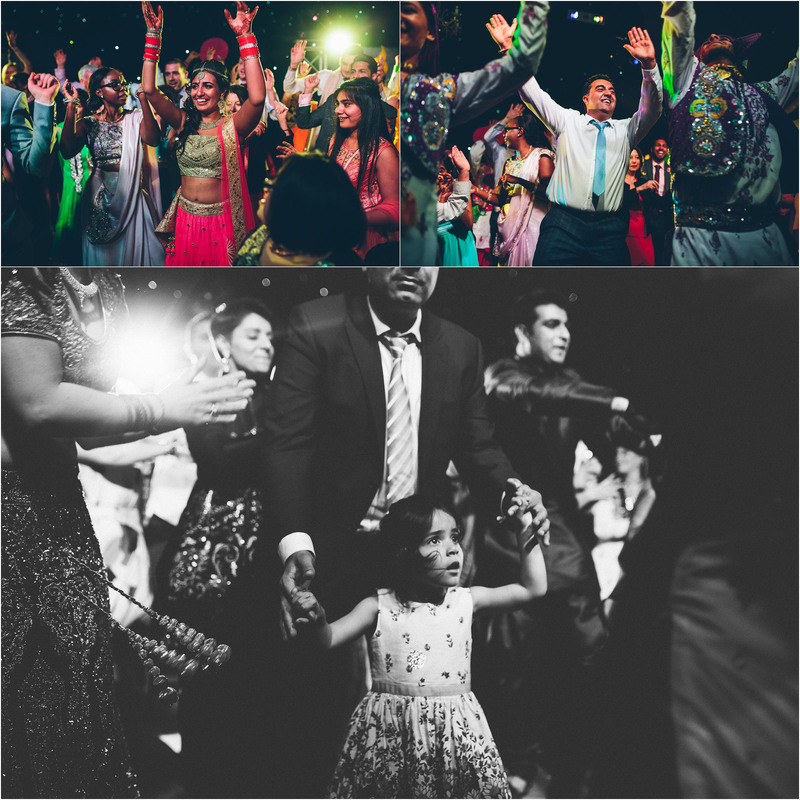 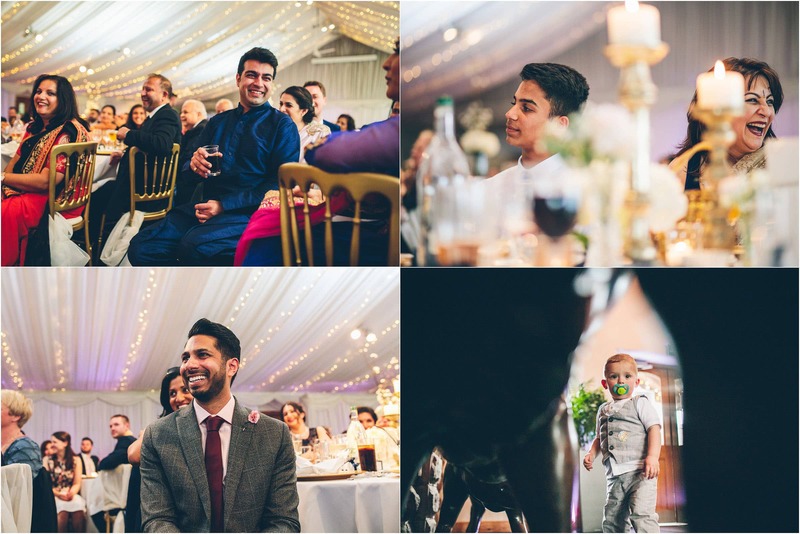 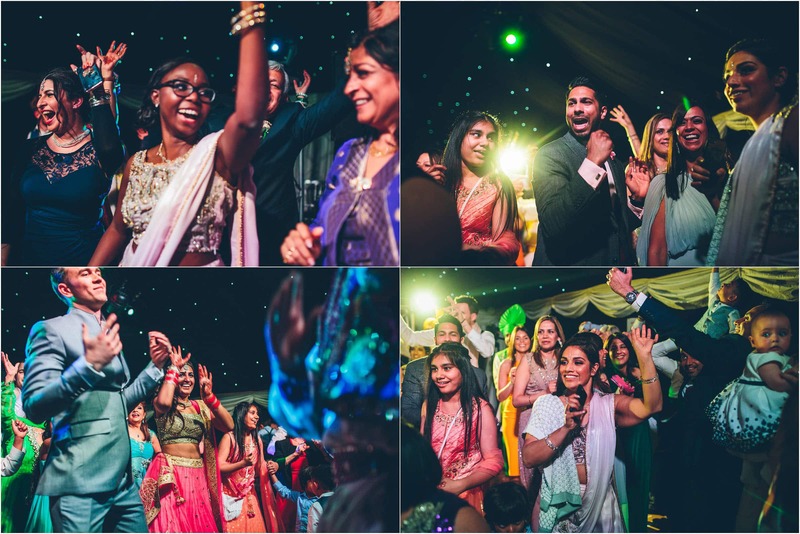 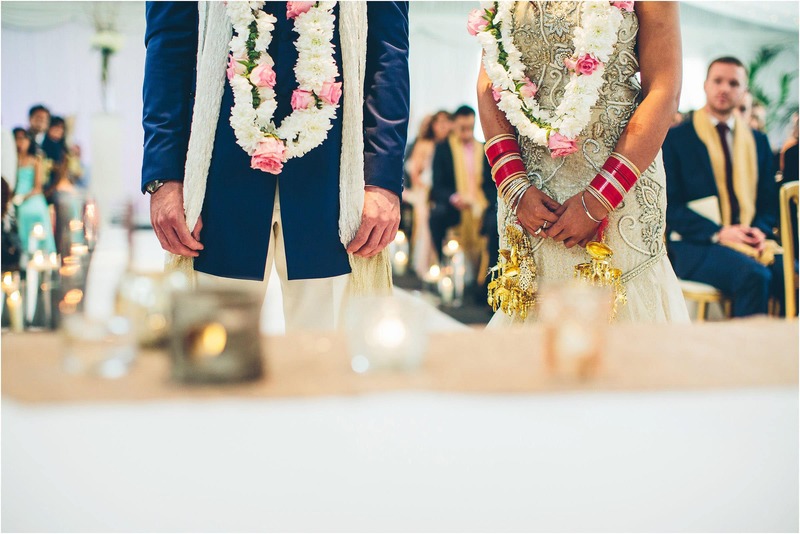 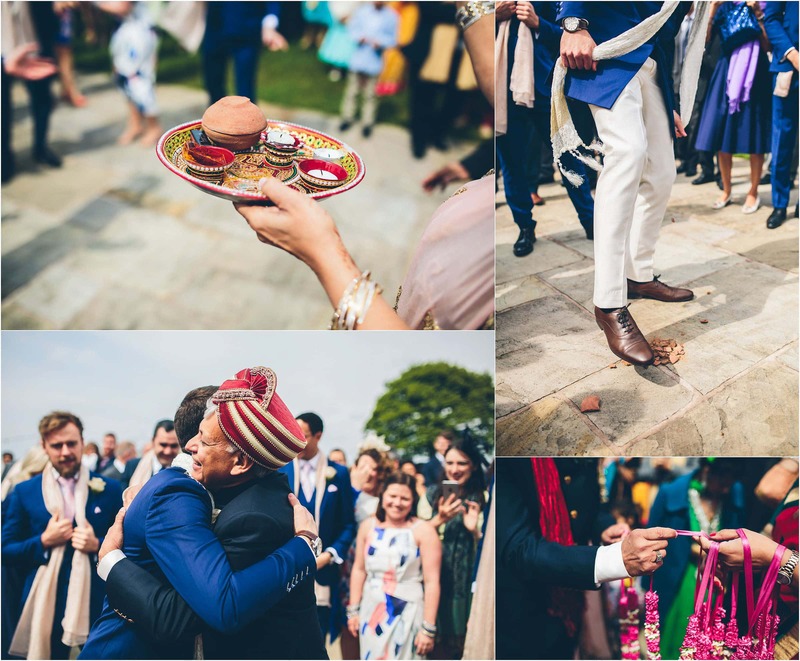 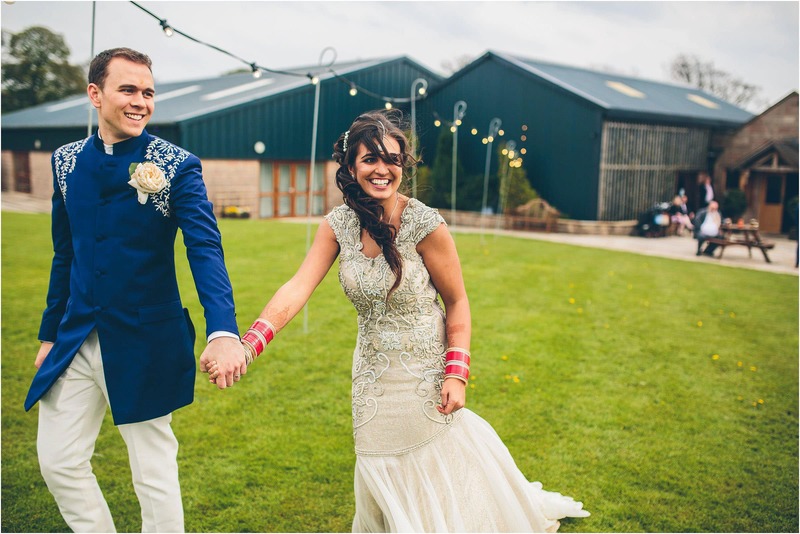 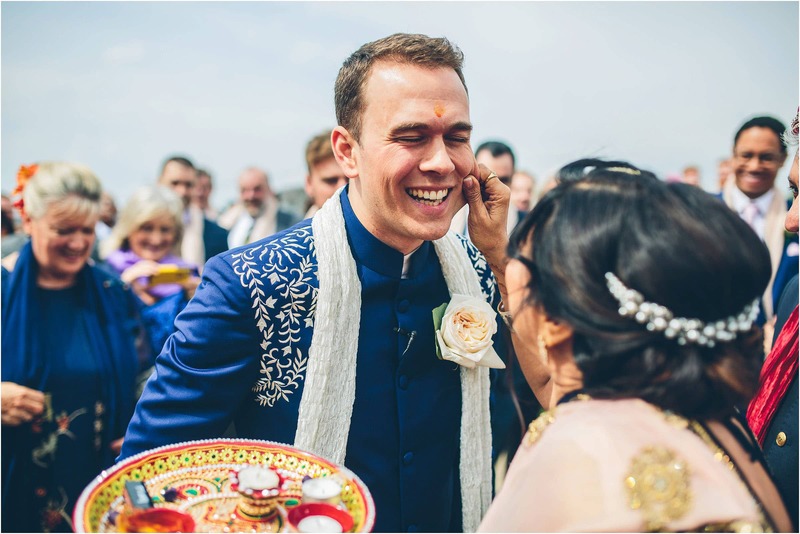 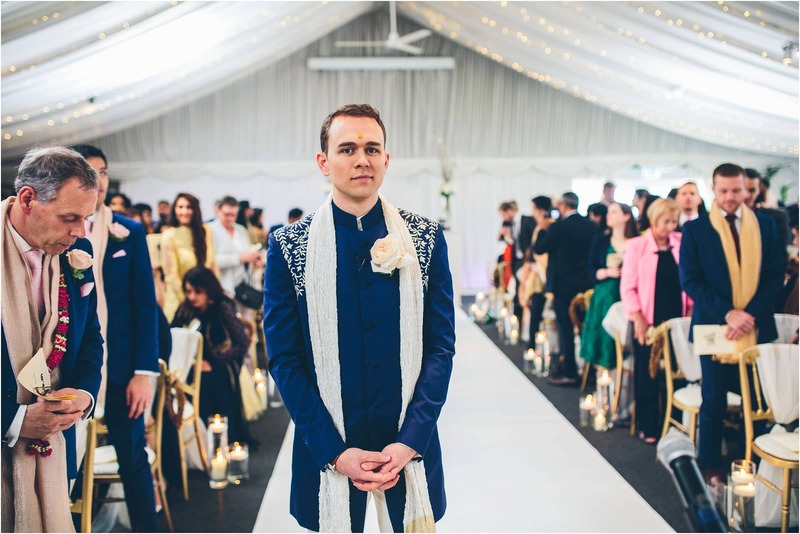 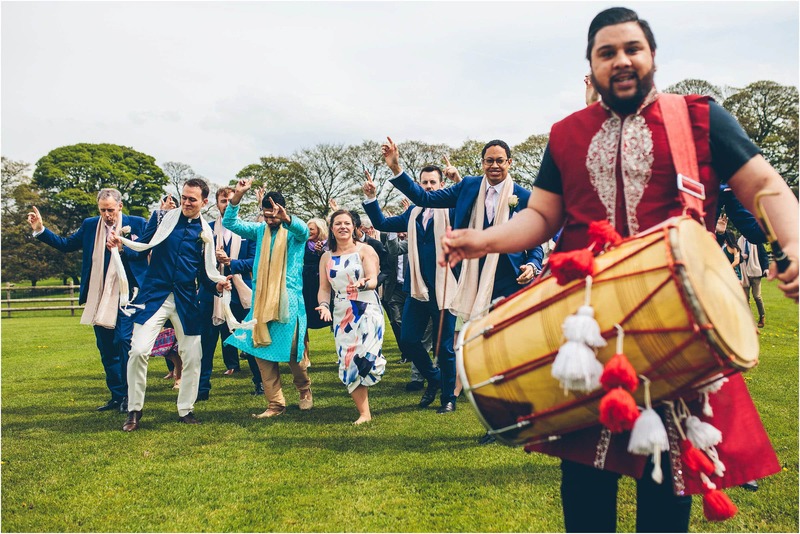 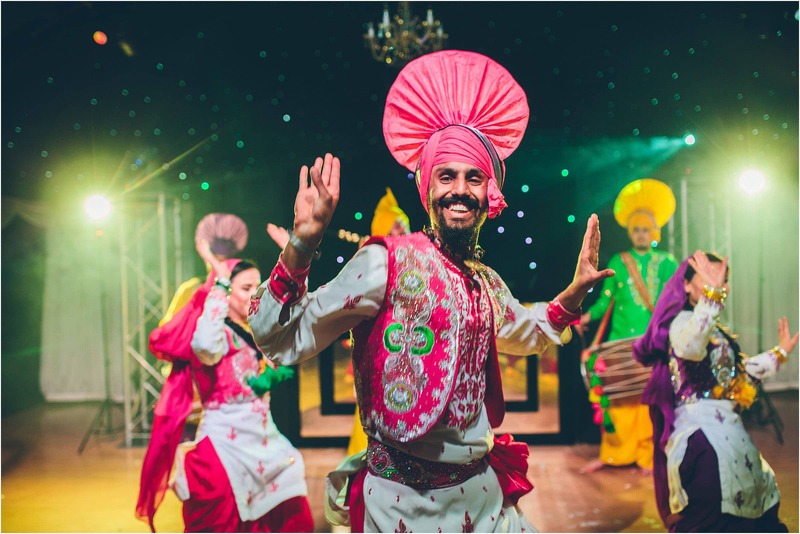 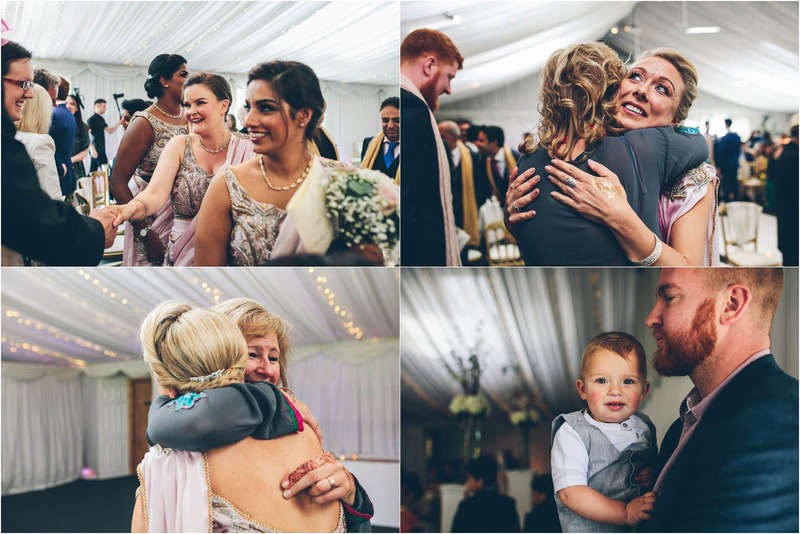 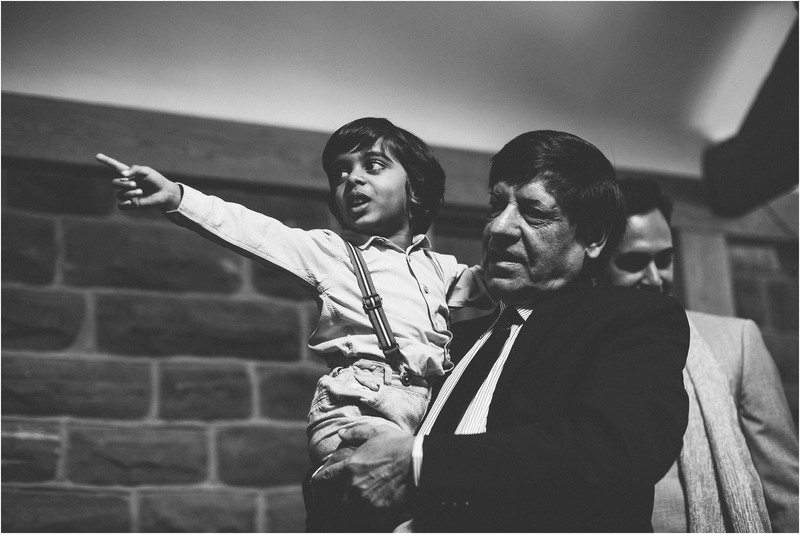 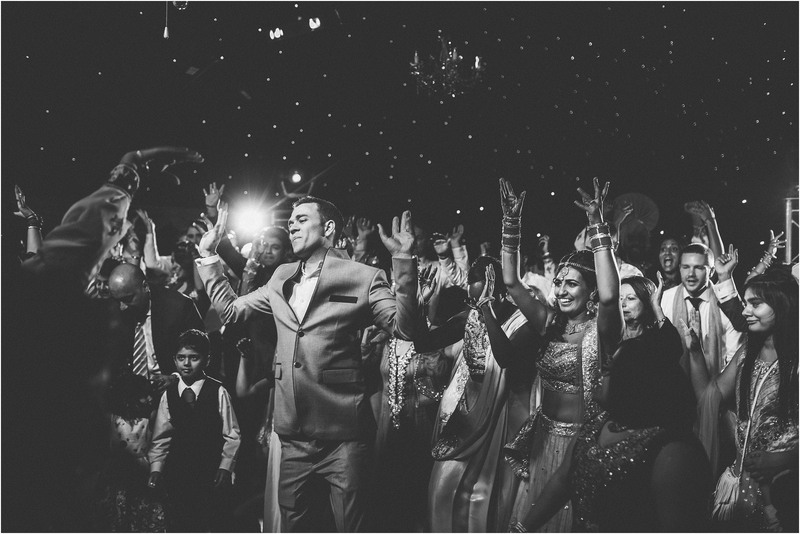 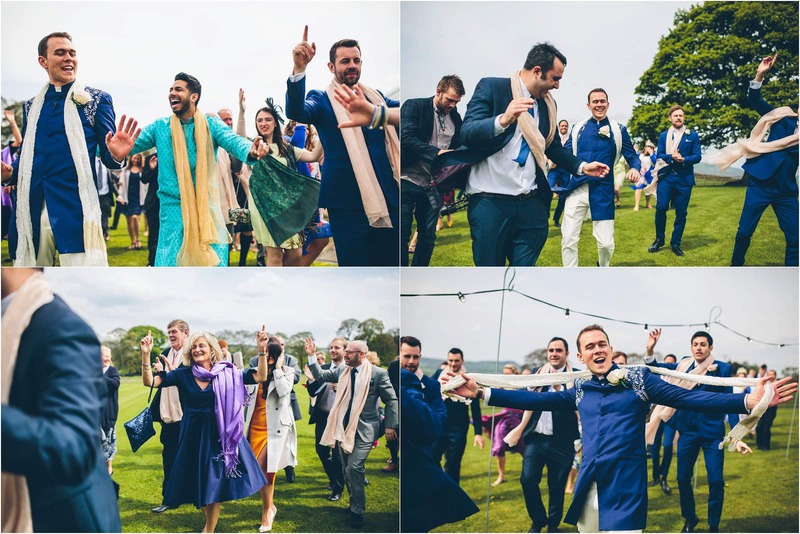 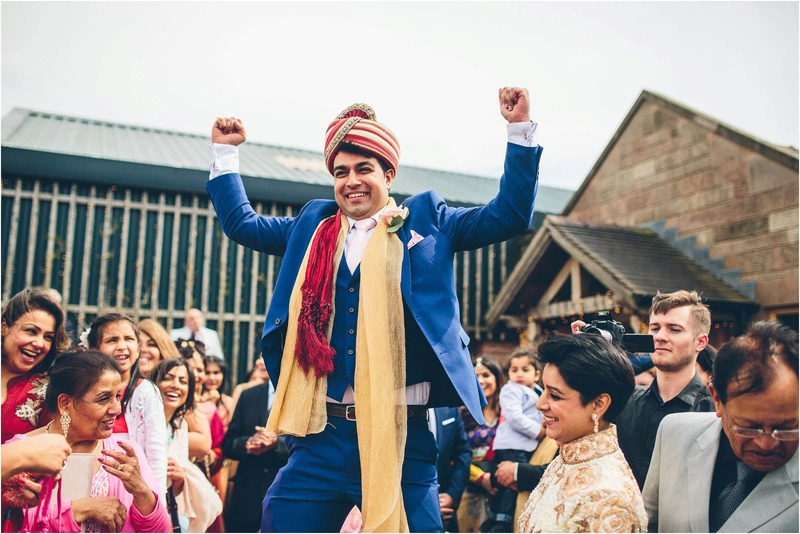 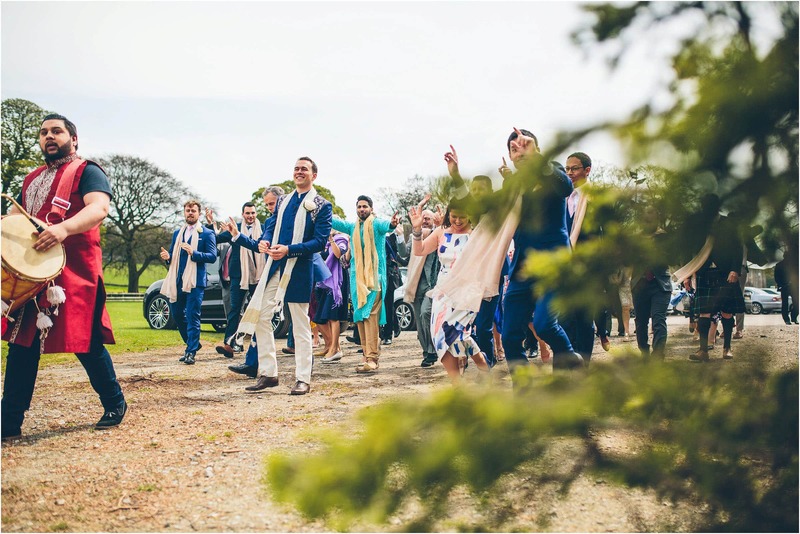 Their Indian fusion wedding at Heaton House Farm was full of so much life, love, colour and energy … oh and food! 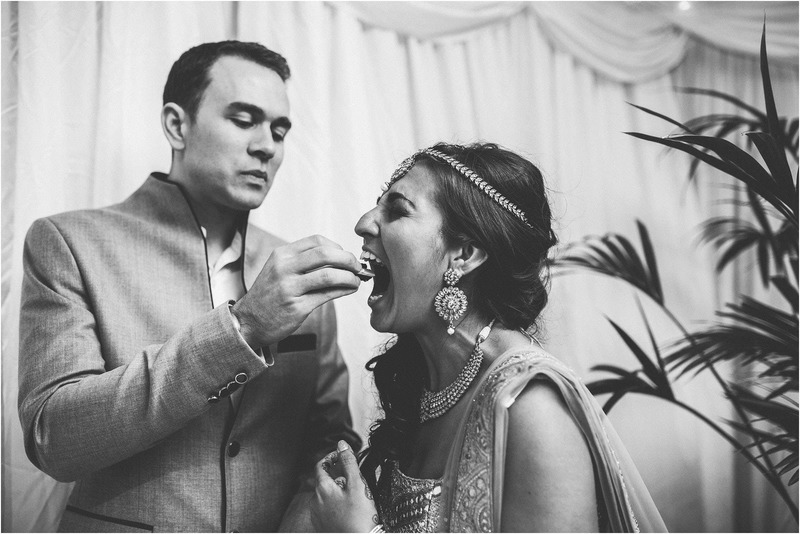 So much yummy food! 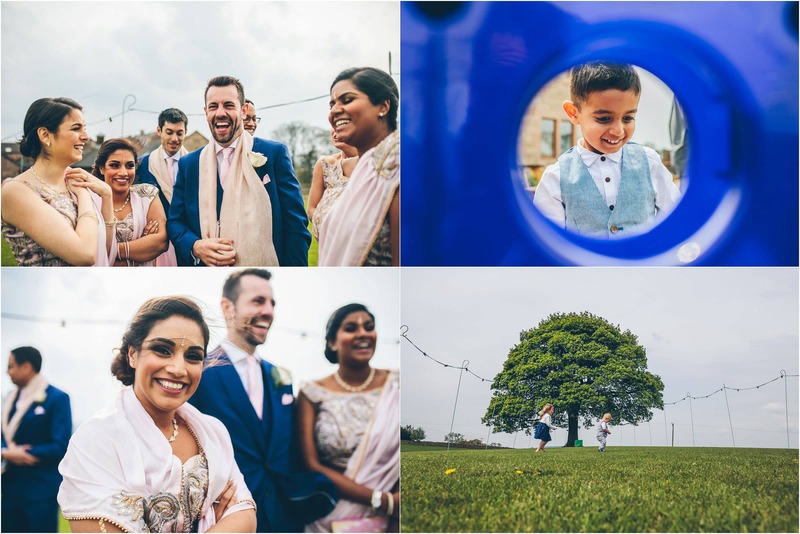 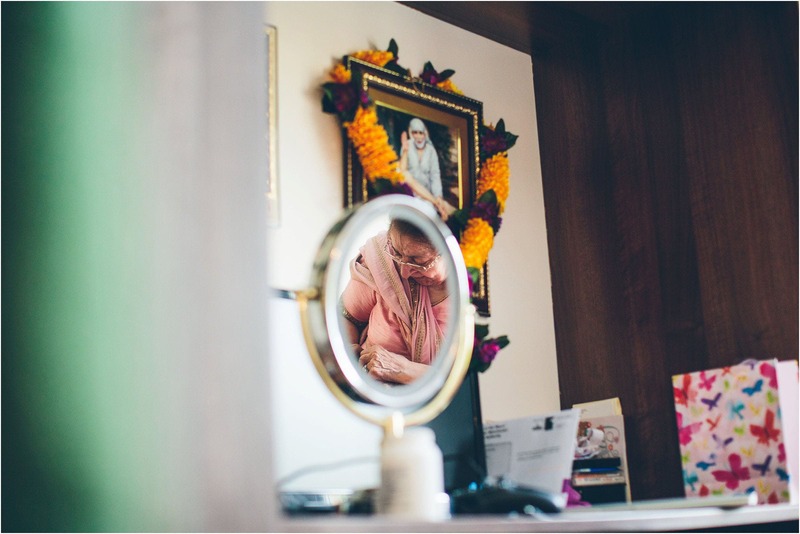 The day started at Aneesha’s parents house in Sadleworth for the bridal preps. 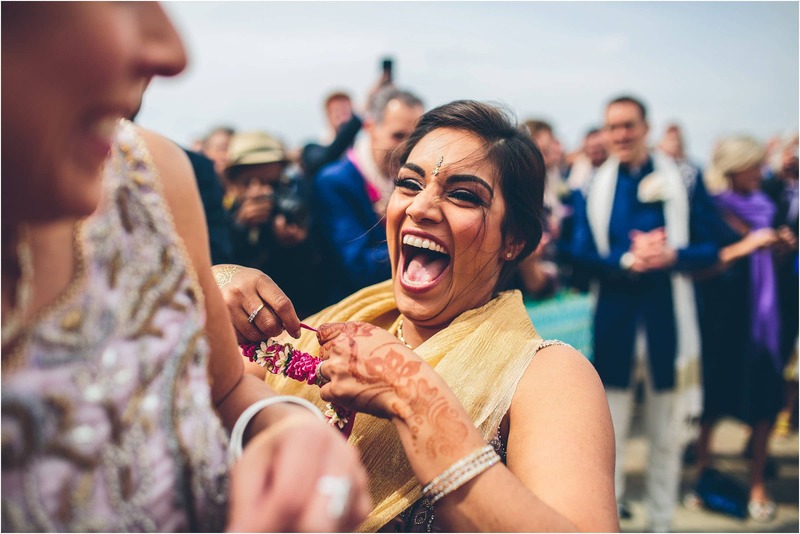 I drive to each wedding I shoot wondering what the day will hold for me and my main hope is that I have a fun, friendly, welcoming bunch. 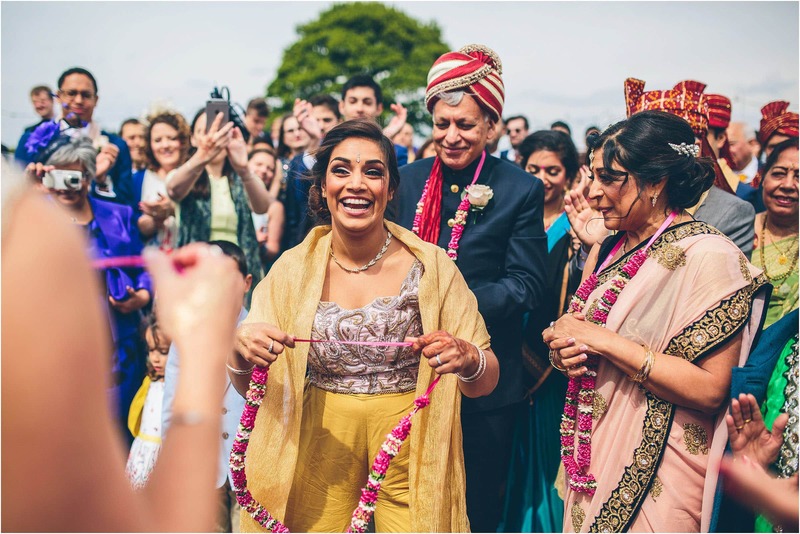 I wasn’t disappointed … I already knew Aneesha was ace and I was made up to find out that so too were her family and friends. 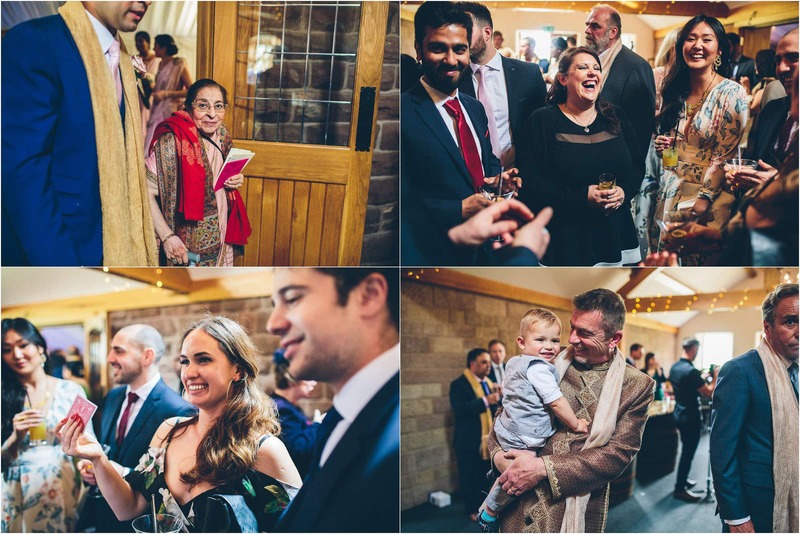 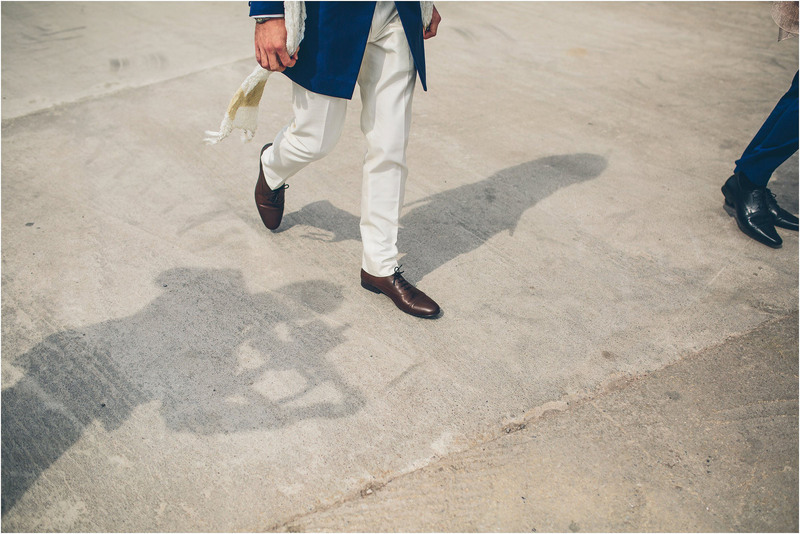 I clicked with everyone straight away which for a wedding photographer is so so important … feeling welcomed only fuels my creativity. 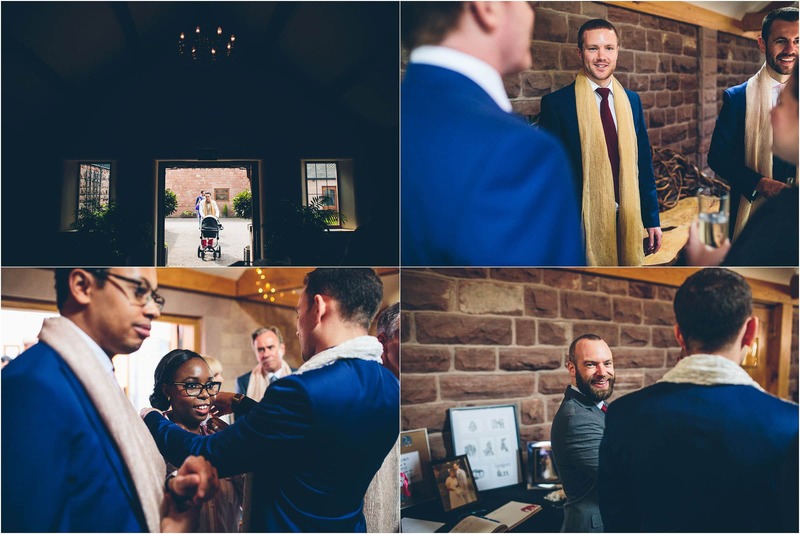 After a fun filled bridal prep I hooked up with a nervous but excited Will who was all smiles. 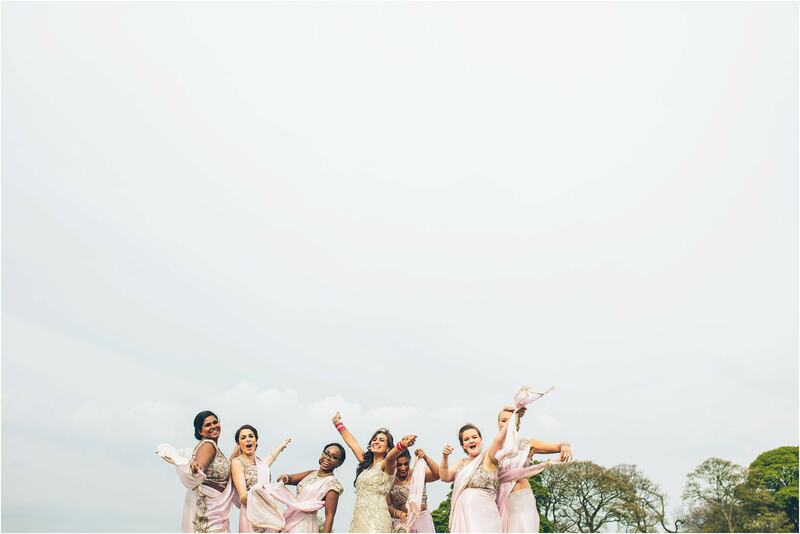 After a slight hiccup with the bridesmaids dresses not making their way to the venue with the bridesmaids! 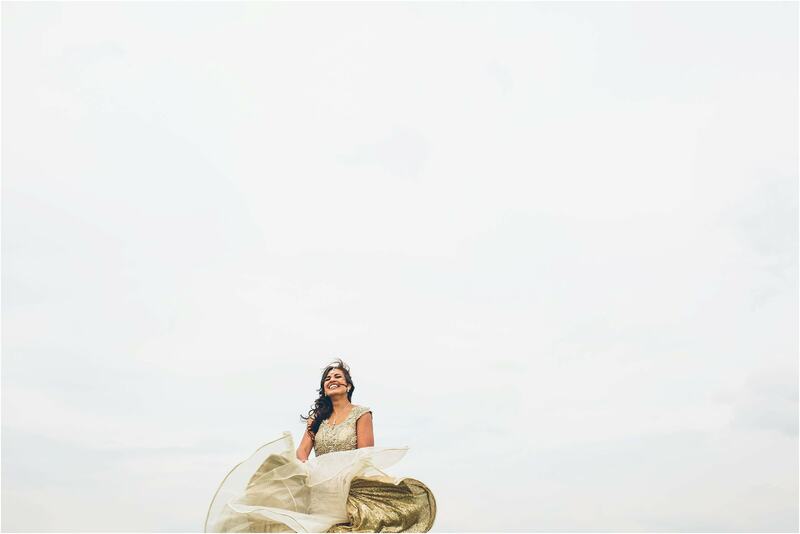 – the day flowed beautifully and the weather was on our side. 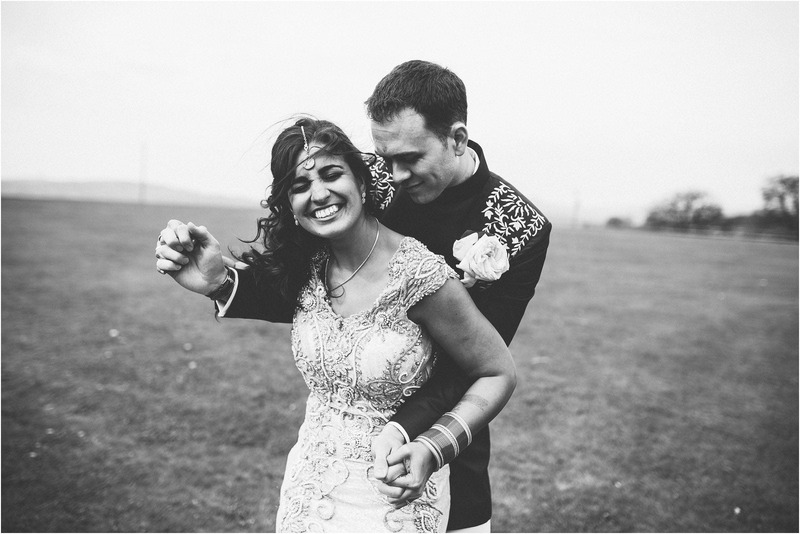 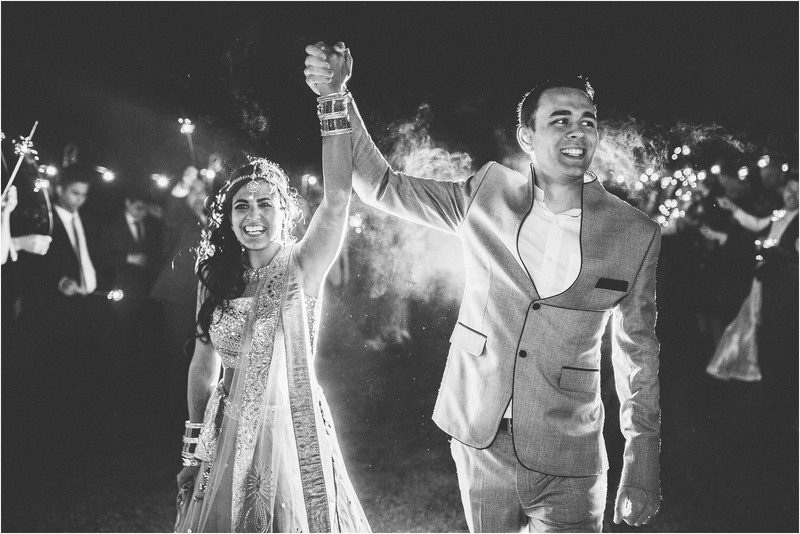 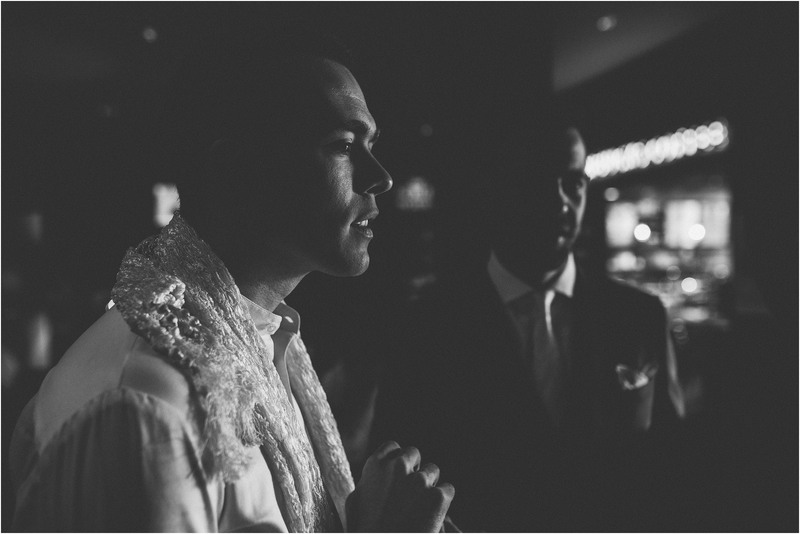 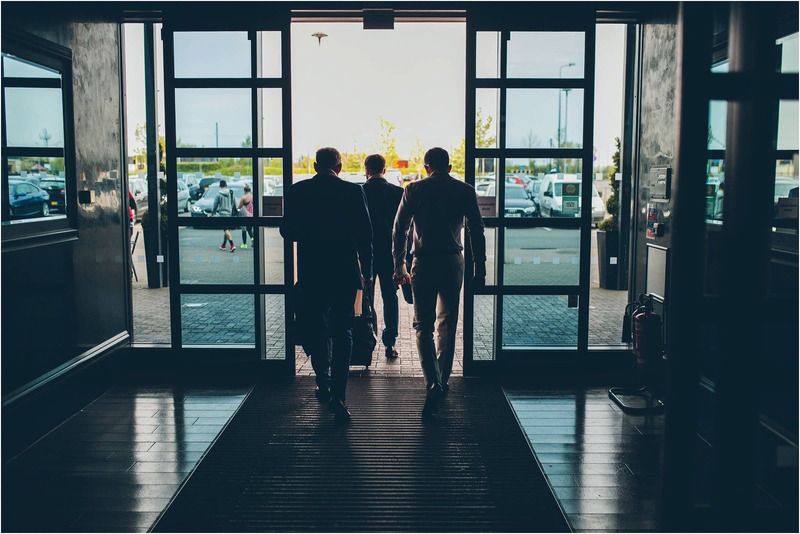 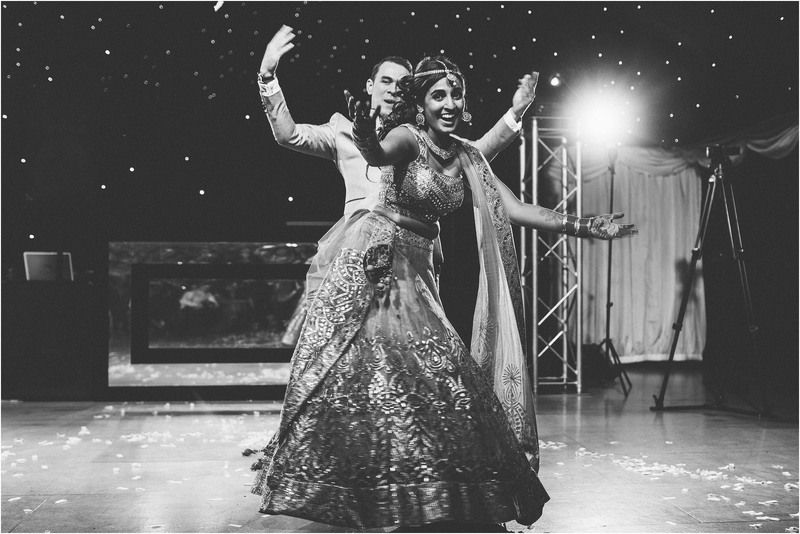 Aneesha and Will, thank you for being awesome … you made my job an absolute pleasure.